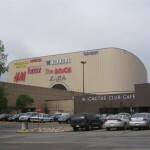 So far, the largest shopping center we’ve featured on this site is the massive Mall of America in suburban Minneapolis, Minnesota. 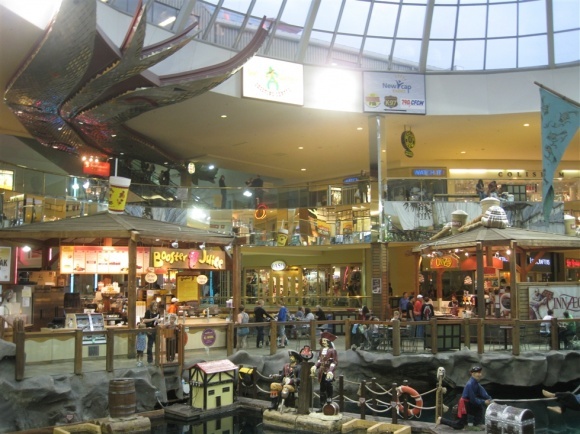 On a recent trip which brought us through the intermountain west and western Canada, we were able to visit the only North American mall larger than the Mall of America: West Edmonton Mall in Canada. 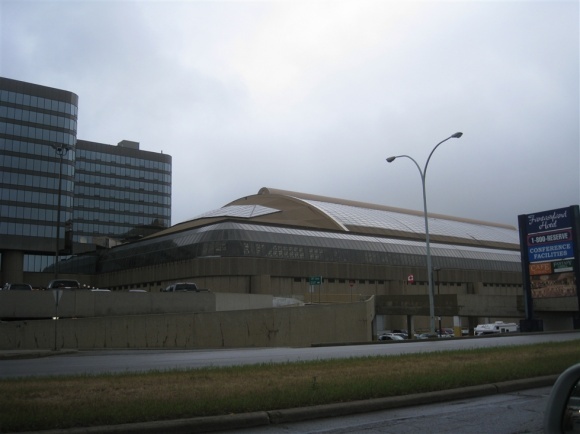 Edmonton is the provincial capital of Alberta and a city with a metropolitan population of just over one million. 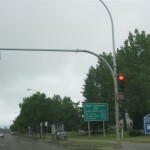 Not only a center of government, Edmonton is also the northern anchor of the Edmonton-Calgary technology corridor, one of four regions of Canada comprising 50 percent of that country’s population. 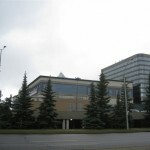 Edmonton is also home to numerous institutions of higher education, including the flagship campus of the University of Alberta. 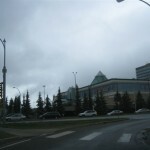 In addition, Edmonton currently holds the moniker “Oil Capital of Canada” – since the 1940s, Edmonton has been best known for its petrochemical industries due to the abundance of natural energy resources nearby; and, even though Edmonton’s economy is diversified today, the natural resources energy reserves in northern Alberta are second only to Saudi Arabia’s in the entire world. 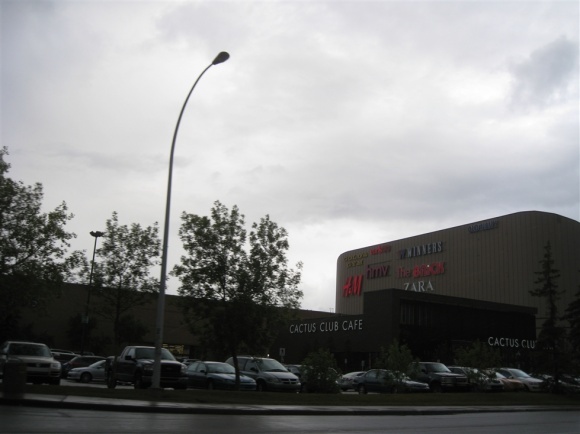 In the late 1970s, amid Edmonton’s largest boom in growth resulting from petroleum sector jobs, an Iranian immigrant family, the Ghermezians, embarked upon a plan to build a super-regional mall on the west side of Edmonton. 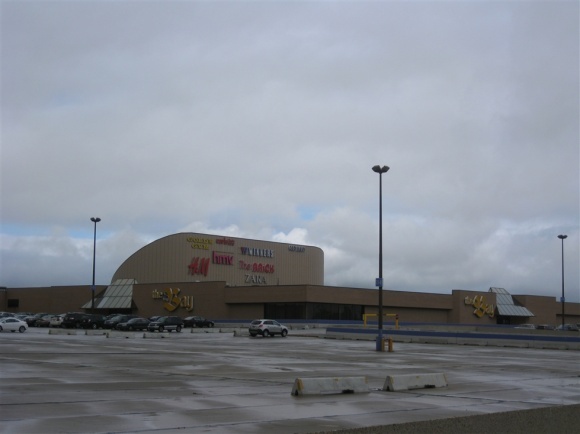 The project, however, did not open as the behemoth 6 million square-foot supermall that exists today. 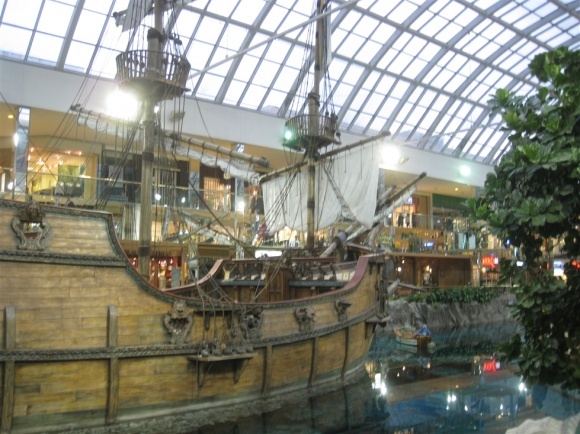 Instead, the West Edmonton Mall opened in September, 1981 with a modest – at least compared to today’s size – selection of only 220 stores totalling just over one million square feet on two levels. 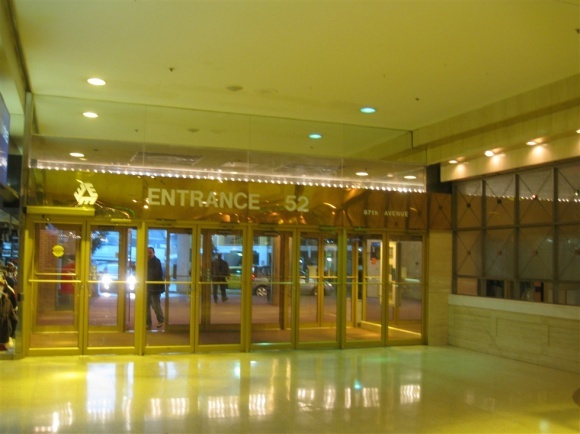 The mall opened along 170th street between 90th and 87th Avenue. 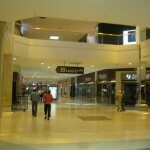 Upon opening, the anchors were Sears, Eaton’s, and The Bay, and the mall cost C$200,000 to build. 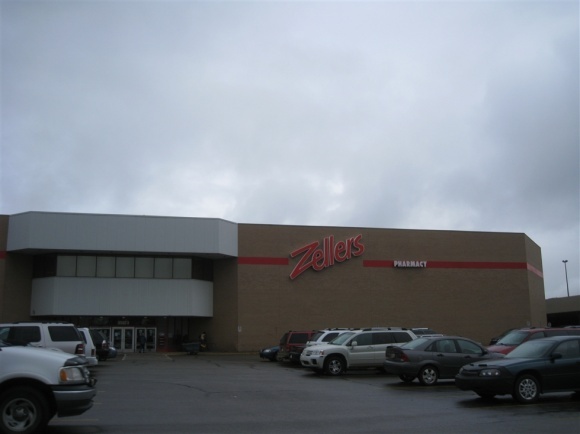 The original 1981 mall still exists today as Phase I, and is still anchored by Sears and The Bay, but Zellers rounds out the third anchor as it moved from Phase II in 2000 to replace Eatons, which went out of business in 1999. 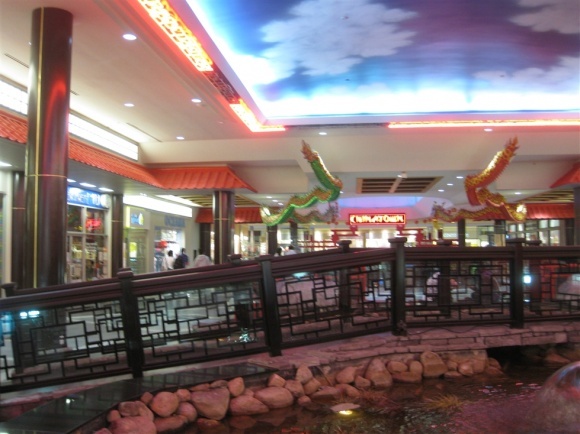 A large food court, Gourmet World, is located in Phase I and connects Phase I to the mall’s indoor amusement park. 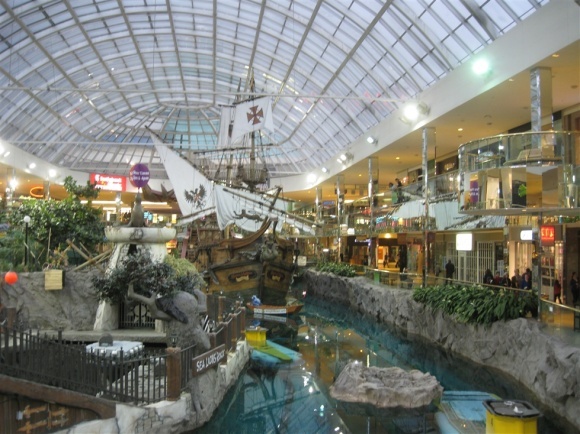 In 1983, West Edmonton Mall Phase II opened, doubling the mall’s size, giving it destinational status and worldwide media coverage. 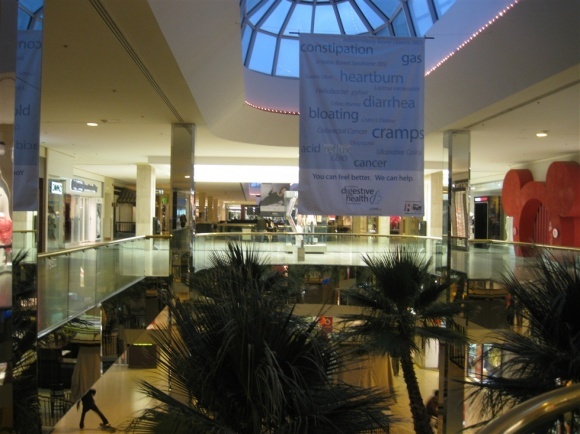 Unlike Phase I, which was comprised of only retail, Phase II incorporated recreation and entertainment venues to complement the retail and give a better overall experience. 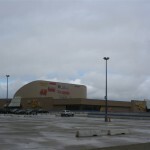 Over 220 stores were added in the expansion, along with an NHL-sized ice rink, known as the Ice Palace, and the Fantasyland amusement park, which continues to be the largest indoor amusement park in the world. 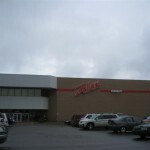 A large Zellers was also added in Phase II, which eventually relocated to replace the Eatons in Phase I when it closed in 1999. 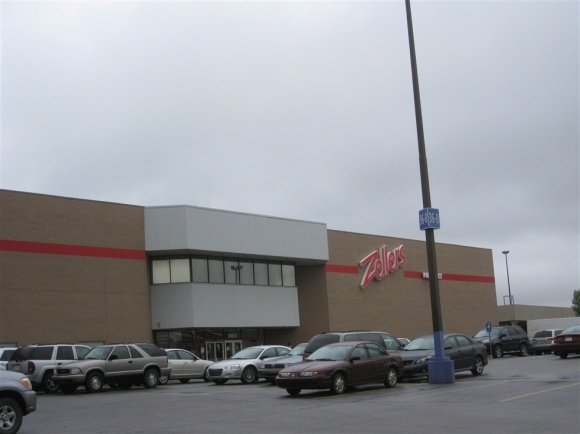 Today, the original Zellers is now a Winners, flanking the south side of the ice skating rink. 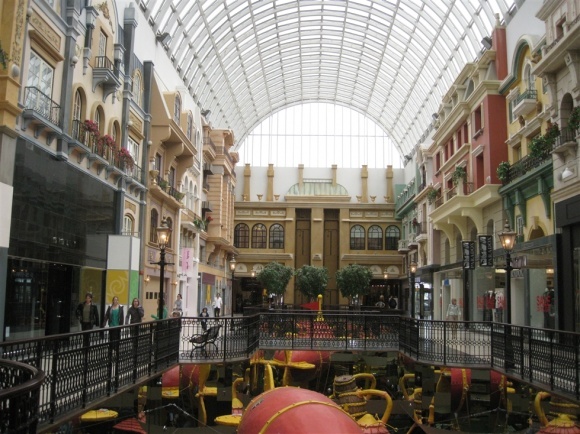 1985 saw the opening of Phase III, largest addition at West Edmonton Mall to date, giving it the status of the largest mall in the world, a title it would hold until 2004 when several Asian malls surpassed its size. 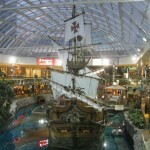 Included in the Phase III expansion were a large Canadian Tire superstore, a Woodward’s department store at the western end of the mall, The Brick, London Drugs, as well as more entertainment options such as miniature golf and two themed sections: Europa Boulevard and Bourbon Street. 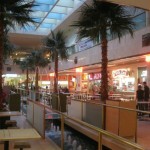 A second food court also exists on the lower level in Phase III, called Gourmet Court. 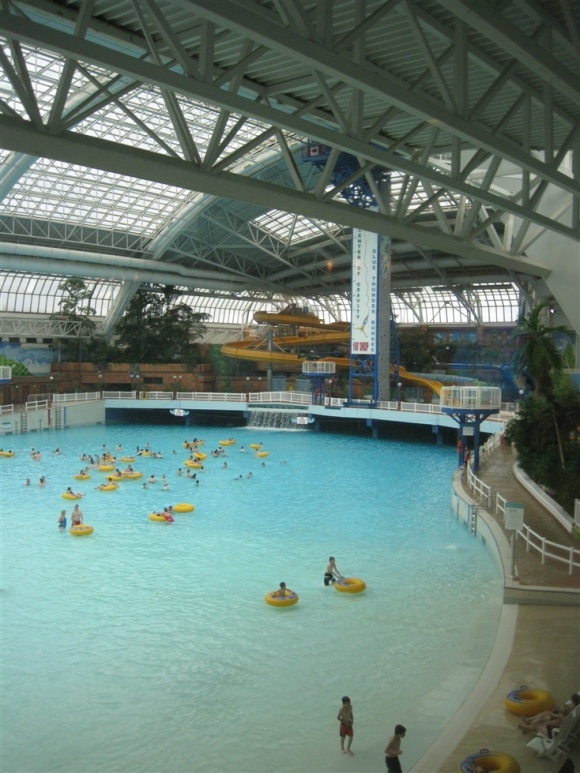 The entertainment options comprise the largest real estate in the Phase III addition, and include the World Waterpark, the world’s largest indoor water park featuring an 83-foot slide, complete with a wave pool capable of generating 6-foot waves. 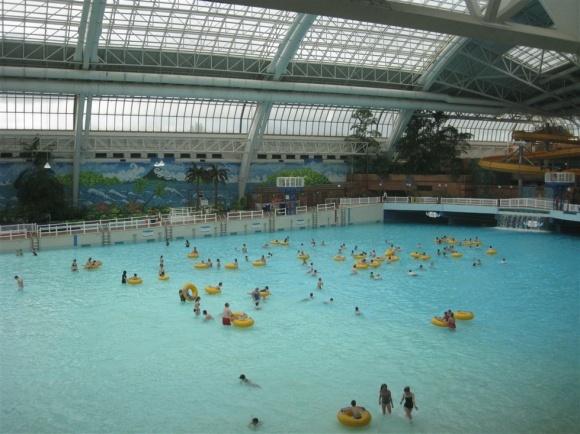 There is also a bungee jump where one can dangle directly over the wave pool, several major water slide rides, and a tube river thinger. 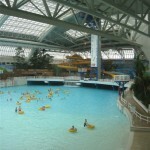 In addition to the water park, Phase III also includes Sea Life Caverns and Deep Sea Derby, a deep salt-water lake located in the middle of the Phase III addition under a massive glassy, galleria-style roof. At one point there were dolphins and other sea life, as well as submarine rides, but today the submarine rides are closed and the featured sea mammals are three sea lions named Pablo, Kelpie, and Clara. 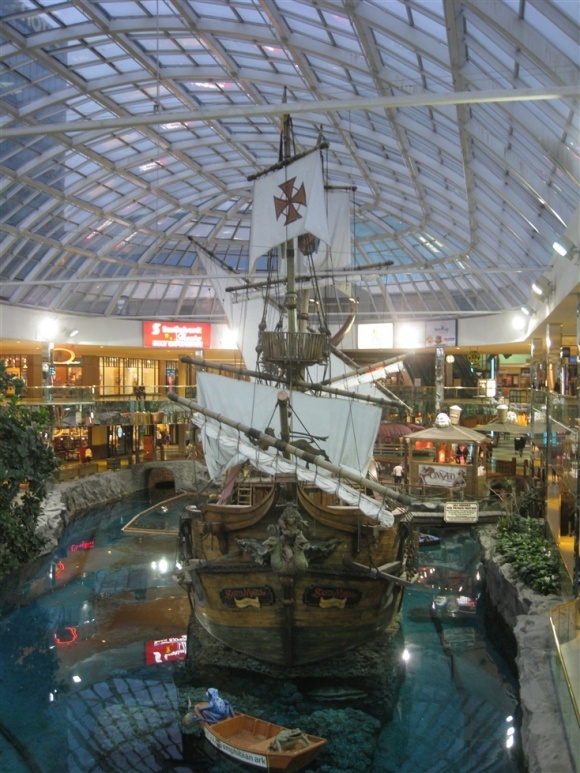 The Deep Sea Adventure area is anchored by a life-size replica of Columbus’ ship Santa Maria, which first appeared at Vancouver’s Expo 86. The ship has been used for special events such as fundraising, but is unfortunately not accessible to the public. 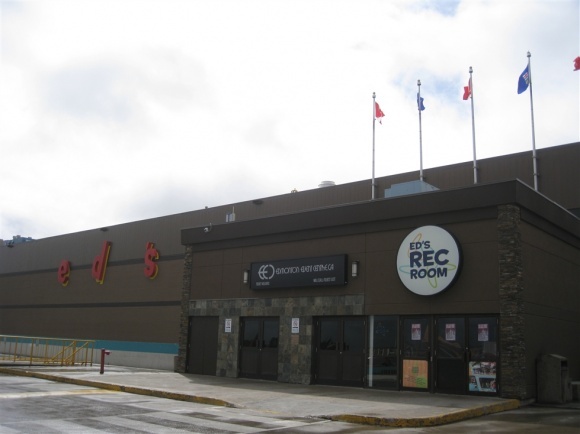 The final major entertainment venue to open with Phase III was Red’s, an entertainment complex consisting of a bowling alley, pool hall, music stage, arcade, and restaurant. 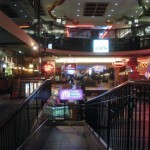 However, in 2006, Red’s chose not to renew their lease and the former Red’s area was separated into three venues. 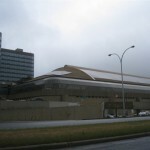 The music stage and restaurant were converted to Edmonton Events Centre, and are home to many Canadian and international bands such as Switchfoot, GWAR, Lifehouse, and Theory of a Deadman, just to name a few. 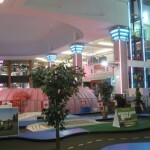 The arcade and bowling alley were renamed Ed’s Rec Room, and the mini-golf area became Putt ‘n’ Glow. 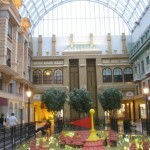 The two themed “streets” which opened in 1985 with the Phase III expansion were modeled after Europe and New Orleans. 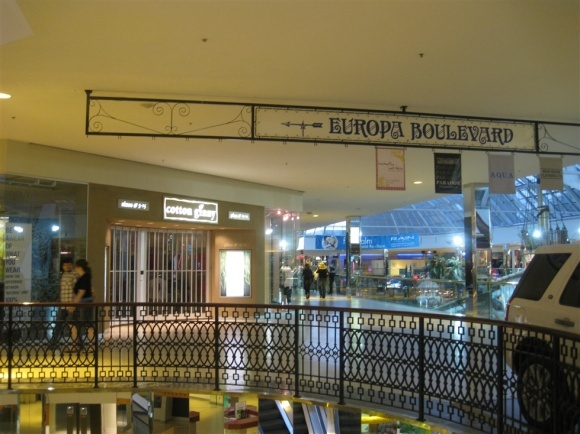 Europa Boulevard features an eclectic array of shops along a multistory European streetscape facade. 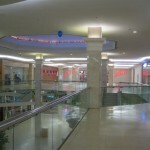 However, the shops are only at the bottom of the facade – which is located on the 2nd level of the mall – with rentable conference rooms on the levels above. 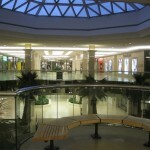 A large Petcetera store and a Gold’s Gym are located near or along Europa Boulevard. 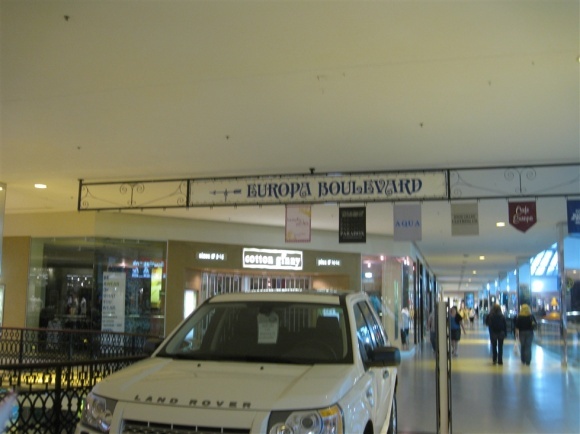 Some of the shops along Europa Boulevard feature high fashion and stores with price points significantly higher than in other areas of the mall. 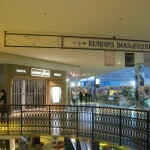 In addition, Europe Boulevard features a European-inspired and themed coffee shop, Cafe Europa. Bourbon Street, the second themed area to open in 1985 with Phase III, is designed to mimic a nighttime streetscape of New Orleans. 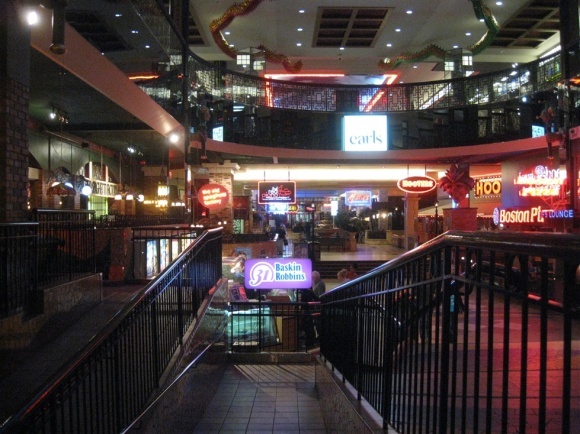 Featuring many chain restaurants such as Hooters, Earl’s, Tony Roma’s, Boston’s Pizza, Albert’s and others, there are also options for tippling as this is the mall’s largest concentration of bars as well. Bourbon Street also features a comedy club and mannequins along the street depicting street people of New Orleans. The lights along Bourbon Street are intentionally kept darker than the rest of the mall to inspire a nighttime feel. 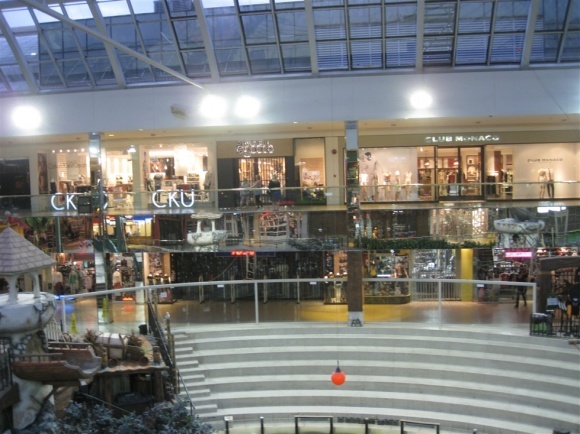 The 1990s saw success and a continued transformation for West Edmonton Mall, and by the end of the decade the mall received its latest and smallest expansion, Phase IV. 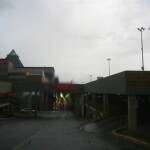 In 1990, a 10,000 square-foot casino came to West Edmonton Mall, located on the north side of Phase II adjacent to the indoor theme park. 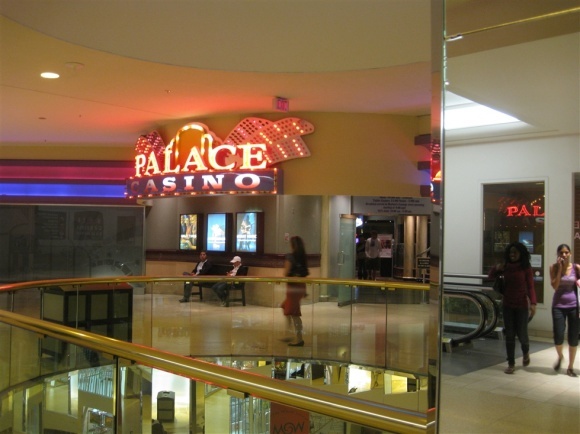 Today, the Palace Casino is over 64,000 square feet on two levels, and features table games as well as slots and a full bar. 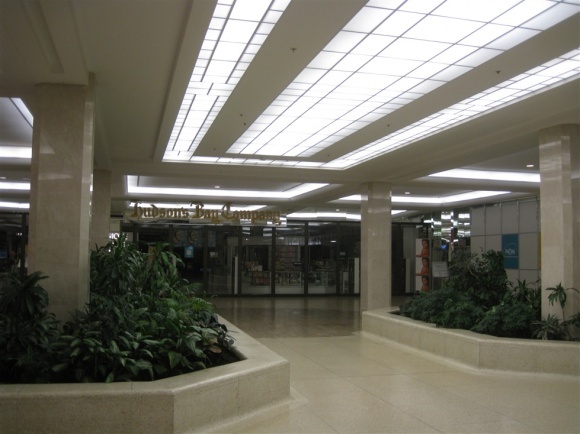 In addition, sometime during the early 1990s Woodward’s department store, which opened in 1985 and flanked the western end of the mall in Phase III, closed and became a second location of The Bay. 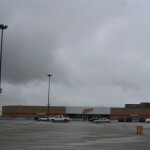 Then, in the mid 1990s, the large Canadian Tire store in Phase III closed, leaving a large hole on level two that sat vacant for the rest of the decade. 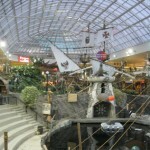 In 1995, the Walt Disney Company apparently got wind of West Edmonton Mall’s indoor theme park using the name Fantasyland, a name Disney uses for a themed area in most of their parks, which resulted in a successful cease-and-desist order on the part of the Mouse; West Edmonton Mall’s indoor theme park became Galaxyland – featuring a space theme – in July, 1995. 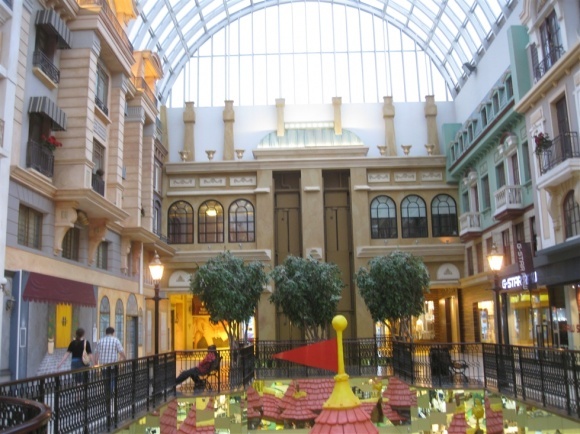 Its mascot, Cosmo, is featured throughout the park and also the entire mall. 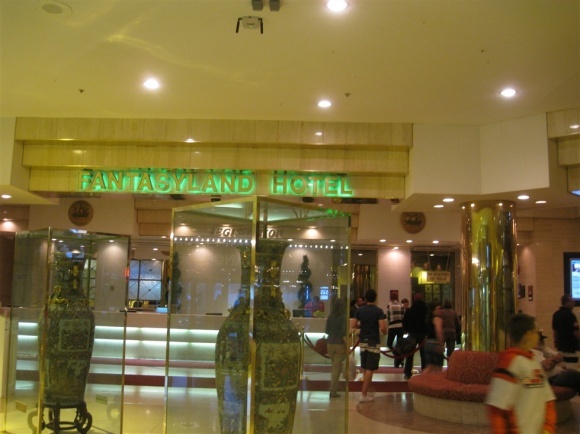 However, the Fantasyland hotel, located across the mall near its southeast corner on the lower level of Phase III, has retained its name – Disney be damned. 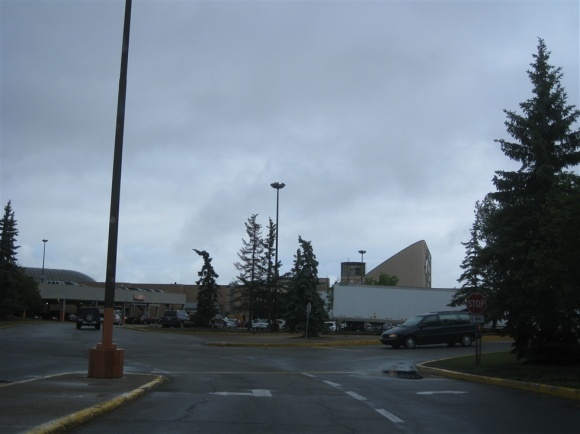 While we’re on topic, there’s also another hotel part of the mall, though not physically attached; the West Edmonton Inn is located across 90th Avenue to the north of the mall, next to the overflow/large vehicle parking. 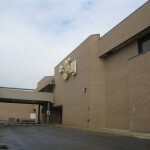 In the late 1990s, The Bay, which operated two locations in the mall at this point, closed their second store in Phase III. 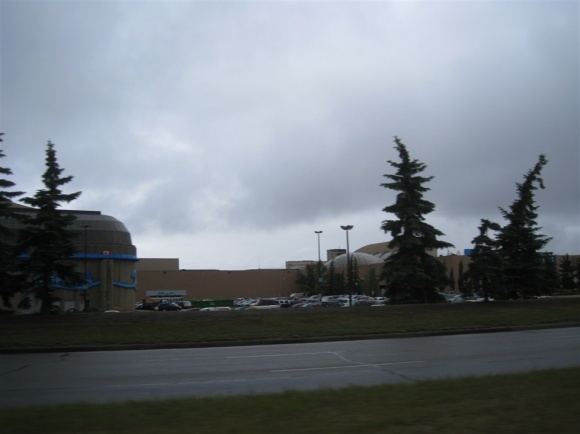 This closure paved the way for Phase IV, West Edmonton Mall’s most recent development. 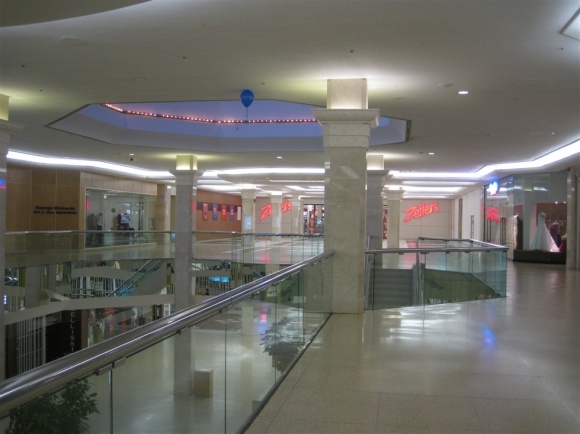 Phase IV was actually more of a redevelopment rather than an expansion, as the previous 3 phases were, and it redeveloped the former Woodward’s/Bay location at the western end of the mall. 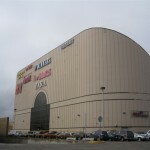 Phase IV opened in 1998, and included a Chapters book box with a Starbucks, a two-level HMV with its own performing stage, a Famous Players theatre and IMAX 3-D, and Playdium, an arcade game amusement facility. 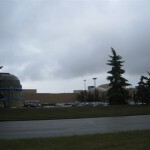 By 2005, Playdium had closed and the space was rented to several Edmonton-area radio stations: 790 CFCW, K-97, and 96.3 Capital FM, and in 2007, the Famous Players theatre was rebranded as Scotiabank Theatre. 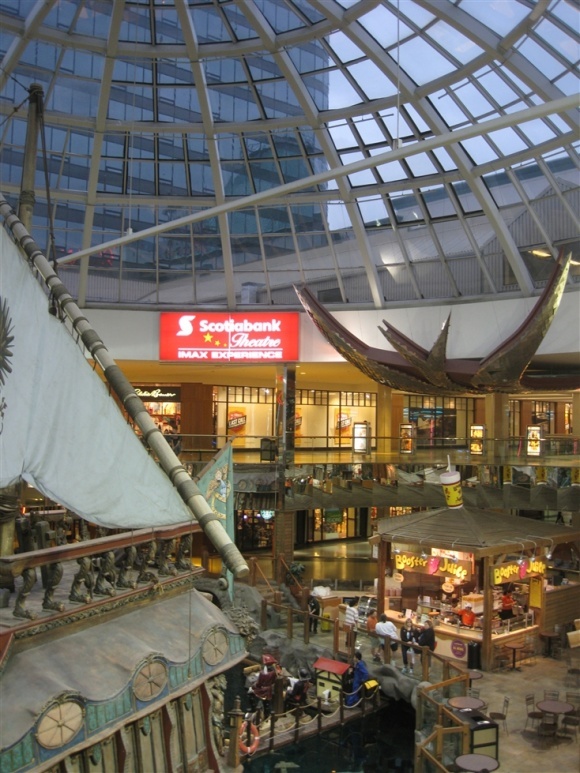 Today, Scotiabank theatre is the only movie theatre at the mall, though at one point two other theatres existed elsewhere in the mall; one of those former theatres was converted to the West49 Skatepark. 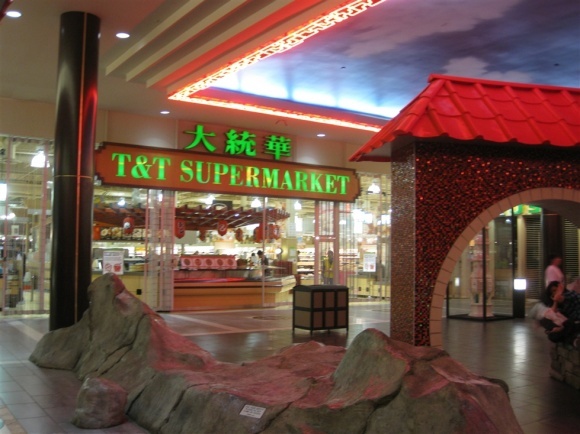 In 2002, the large vacant area left by the mid-1990s closure of Canadian Tire became the third themed area of the mall, Chinatown. 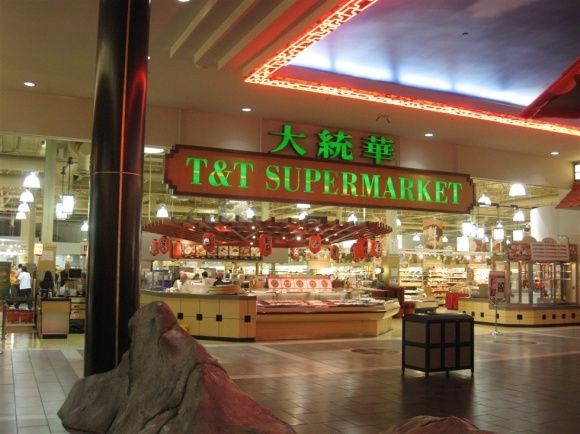 Anchored by T&T Supermarket, an Asian supermarket from British Columbia, the area features Chinese decor as well as Asian-related retail and restaurants which complement the theme. 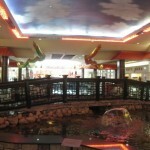 This ethnic area seems to be a hit, especially considering the number of area residents with Asian heritage. 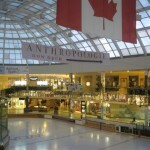 With the completion of Phase IV, West Edmonton Mall solidified its position as the largest mall in the world – at least until 2004, when Asia began building larger malls. 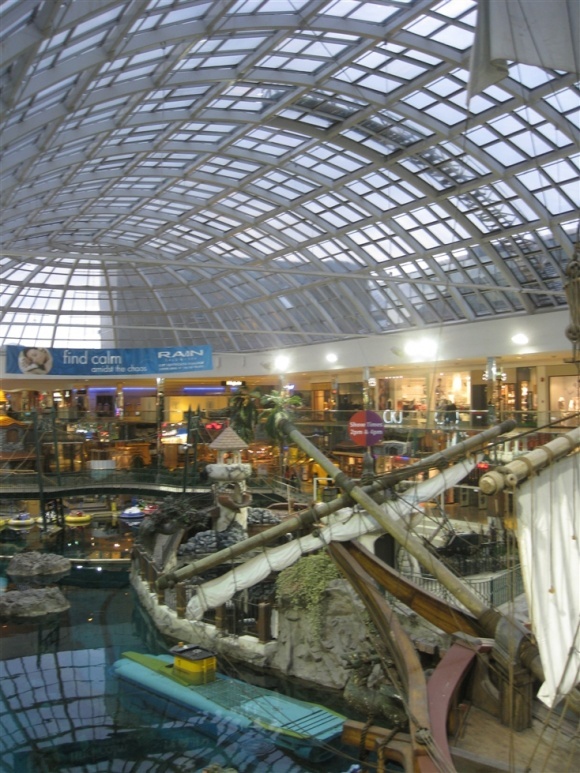 Currently, West Edmonton Mall contains more than 6 million square feet of space and over 800 stores and services. 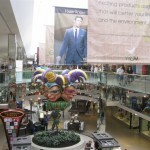 The Mall of America, by comparison, has only 4.5 million square feet of space (including amusement parks and other non-retail ventures) and just over 520 stores and services. 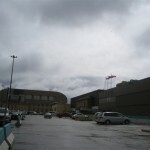 There are over 20,000 parking spaces, and more than 23,000 people are employed on the property. 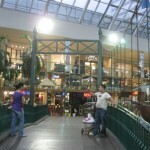 West Edmonton Mall receives between 60,000 and 150,000 visitors daily depending on the day and season, and the mall is valued at nearly C$1 Billion. 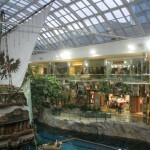 West Edmonton Mall is, like the Mall of America, fully owned and operated by the Ghermezian family’s Triple Five Group. 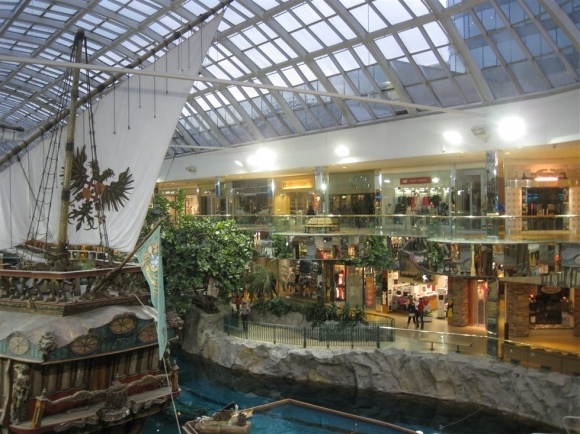 As if all of the above weren’t enough, West Edmonton Mall has even more features we haven’t even mentioned, and is also planning for future expansion. 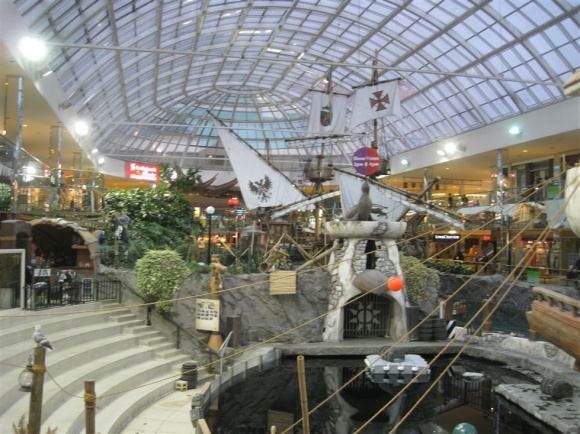 In addition to everything above, there’s an indoor shooting range, a non-denominational chapel, a petting zoo, a set of flamingos who are currently on “vacation” in Winnipeg, and an internet cafe. 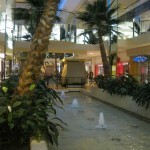 High speed internet is available throughout the mall – for purchase – with WEMiSphere access codes you can buy in any guest services location or both hotels. Charging for internet is kind of lame, no? 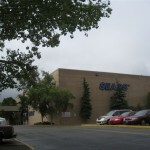 In mid-2009, U.S. retailer Bed Bath and Beyond is opening above the food court in Phase III. In addition, another expansion is underway for an additional 320,000 square-feet of retail space, a sports facility, a 600-unit apartment building, and more parking. Will this be called Phase V? And where exactly will it be located? It wasn’t exactly clear to us. 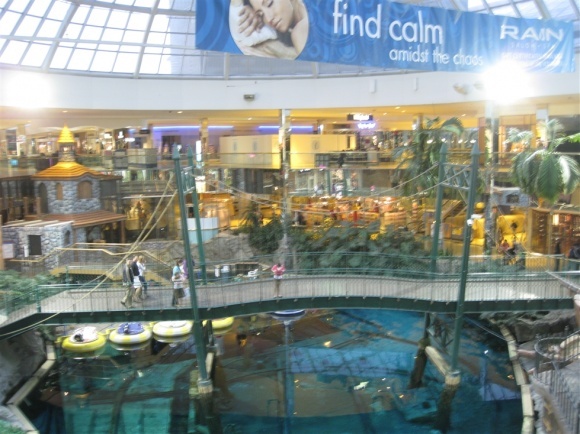 We visited West Edmonton Mall in July, 2009 and took the pictures featured here. 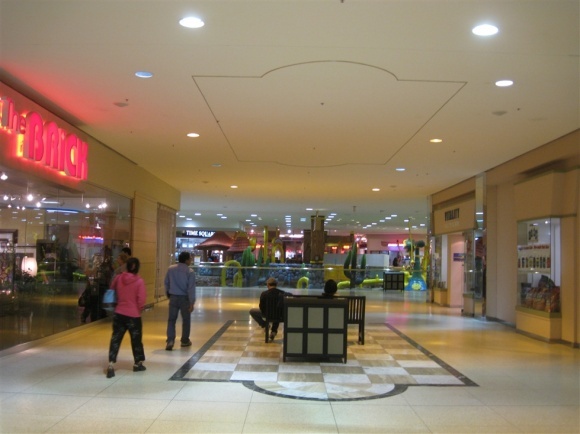 We found the mall to be as impressive and amazing as expected – if not more – but we were really struck at how dated much of the mall seems. 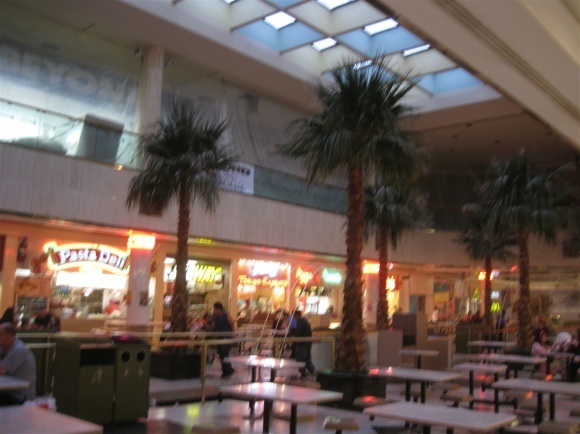 Most of the mall was completed by 1985, and the mainline areas of stores still have decor reminiscent of the 1980s – featuring dark wood, darker color schemes, and mirrors galore. 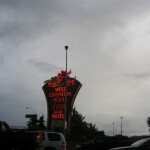 Even the most recent Phase IV, completed in 1998, is already showing its age with its liberal use of neon. 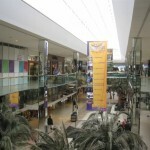 The mall is also a bit more sprawly than its sister in the U.S., the Mall of America. 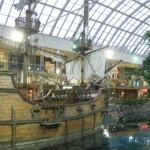 Where the Mall of America is a somewhat boring square design on three – and sometimes four – levels, West Edmonton Mall leaves a bit more to the imagination with its cavernous design, inviting the visitor to explore what’s down every rogue hallway and beyond. 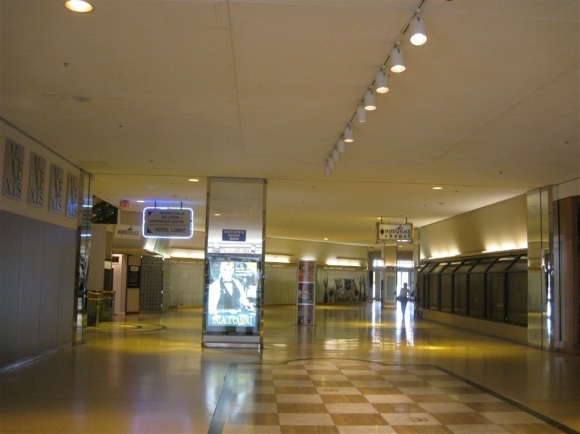 While the base design of WEM is a two-level “T” shape, the addition of side corridors featuring separate themes – such as Chinatown or Bourbon Street – gives the visitor a very inviting reason to go down these shorter corridors. 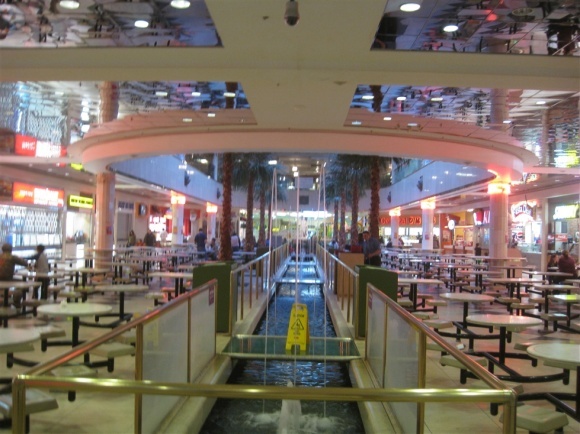 Both food courts are also located away from the central right-of-way, too, as are all of the amusement activities, whereas in the Mall of America all of these things are centralized. We’re not necessarily arguing for one or the other, but it’s intriguing since both centers were designed and still managed by the same family. As always, enjoy the photos and feel free to leave your own comments and experiences. 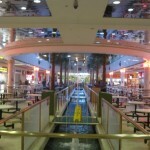 Also, be sure to check out the 12 short videos I took in the mall, which are posted on my YouTube page. 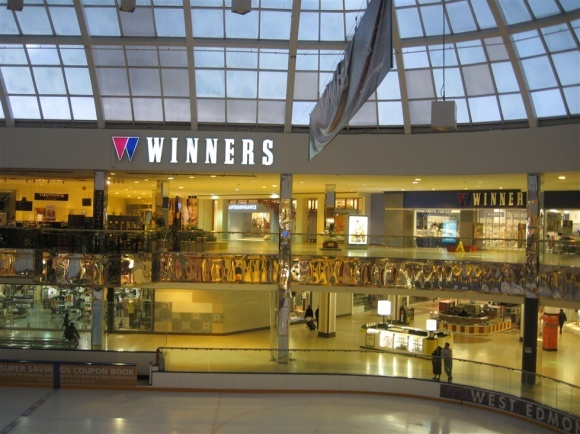 Hey, recently I inherited a ’98 mall directory of this one. I’ll scan it soon. 1. Until some mega-projects in the Eastern Hemisphere, this was THE largest in the world. 2. 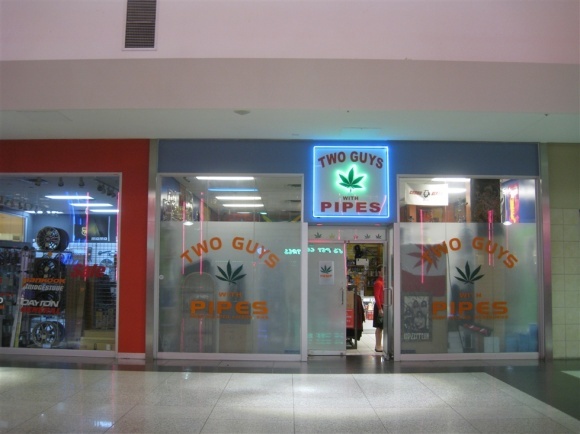 The “Two Guys with Pipes” store is something you’ll NEVER see in the USA. 3. 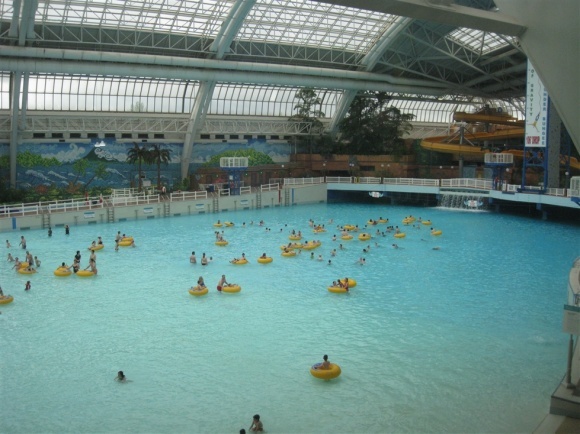 At one time, Summit Place Mall (yes, THAT one) proposed building an indoor waterpark. 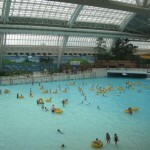 It wouldn’t have been quite as impressive (though it would’ve had several waterslides, as proper parks should). 4. 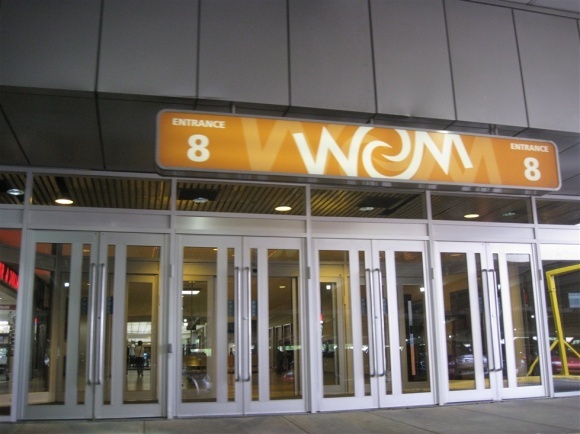 The Ghermezians likely aren’t building Phase V of WEM because of the same reason as not building Phase II of MoA…not enough funding. @Jonah Norason (Pseudo3D), The head shop kind of stumped me too. I’ve never really seen anything like that in any sort of large-scale retail development. 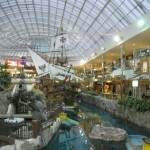 @Jonah Norason (Pseudo3D), Just for the hell of it, if you could build your own mall empire would you include WEM? 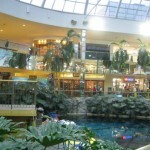 I ment if you were to build a mall company & you could choose any properties in the US & Canada would you include WEM? I have others, but lets start from here. Oh…but this isn’t the right thread for it. @Jonah Norason (Pseudo3D), please do. 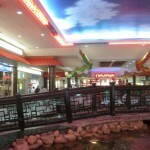 I’m about to add some videos I took in the mall last week. I’ll try, but I’m going to be unavailable for the next few days, so I’ll try to scan it in later today. @Prange Way, Good idea putting videos up. I have some from the sea lion show. Anyone know if it’s still going on? @Prange Way, I am currently scanning it. 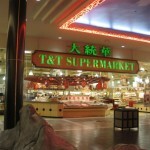 It is from the days of two The Bay stores. There’s also a HUGE section featuring an image of merchandise from many stores (about 144) but I’m not scanning that part. You are free to use it, however. ….can you link to it? 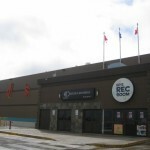 The former 6-plex theatre was not part of a large circuit. 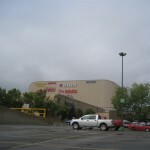 The 8-plex was opperated by Cineplex Odeon. 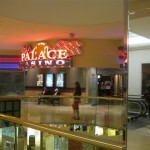 Cineplex Odeon baught out it’s Canadian rival Famus Players from Viacom. 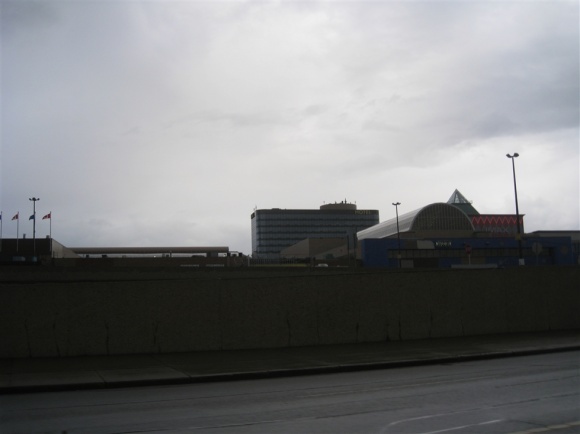 As a result of that transaction the existing cinema was sold along with theatres in Vancuver, Toronto & montreal. 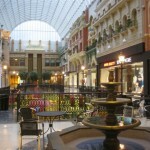 Great post…the holy grail of malls! 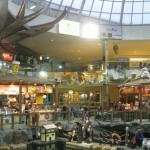 I moved to Calgary a few years ago and visited WEM for the first time last year. Sure, it’s huge, but I can’t say I was overly impressed. 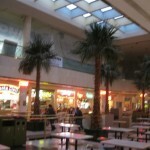 It’s laughably outdated – I haven’t seen so much neon in a food court since the days of Miami Vice. 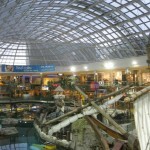 The waterpark looked cool, but in terms of retail, there just seemed to be 2 of every standard mall outlet. 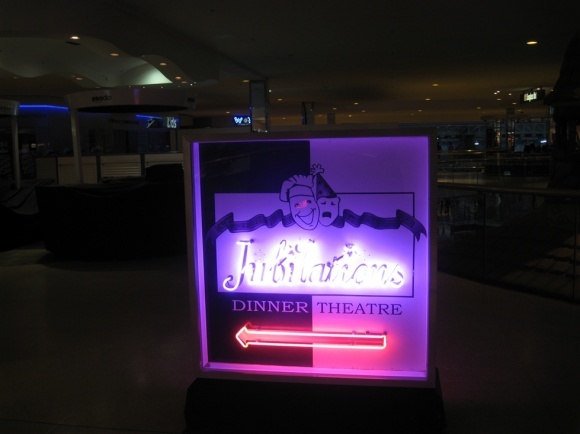 Hope your travels brought you to Calgary – looking forward to seeing some local posts! 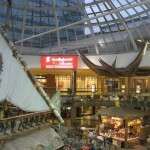 @Jeff L., I saw all the malls in Calgary, and went to the Stampede. Awesome city. @Prange Way, Excellent! 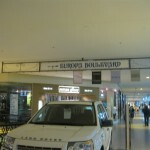 Let me know if you need any info about the malls here. 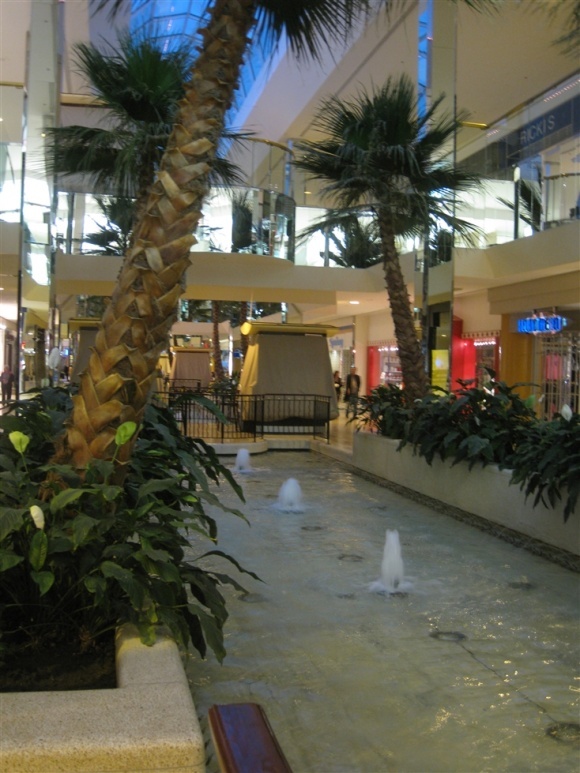 Okay, so I must admit despite loving the latest and newest mall architecture, I am liking the 80’s decor. But, then again I didn’t live in the 80’s, so I never got to experience that…. 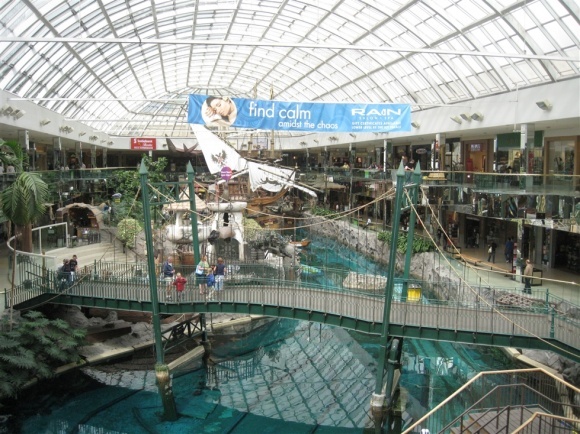 I used to live a few blocks from the West Edmonton mall. 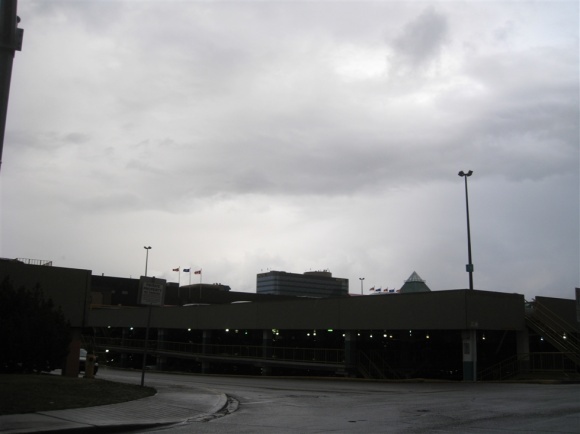 I haven’t been in Edmonton in about a year…it’s always amazing how much things change. 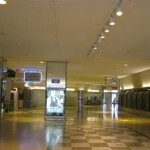 When did the “West Mall 8” close? The smallest one (the one that became West 49) closed a few years back…but the one by Circuit Circus was still packing in crowds when I went last. Sorry, but I’m not gonna pay $12 for a movie ticket. A friend of mine joked that the reason they named the big theatre after a bank is because you need to take out a loan for tickets and refreshments. 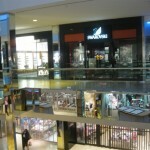 The Hakim Optical is new; that space in the mall was empty for a number of years. There used to be a pretty sweet game store there. 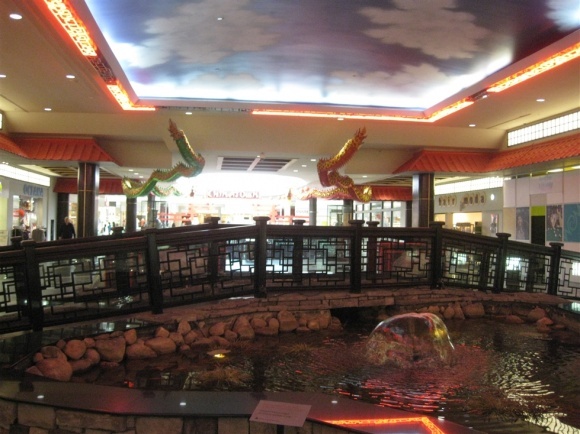 WHat’s great about the WEM is that there’s a number of chinese places, where for less than ten bucks, you can get a heaping pile o’ food…enough for two servings. Circuit Circus was good a number of years ago, but their Internet computers are laden with bugs and viruses. 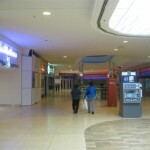 I’ve been abandoned at that mall a couple of times: catching a movie and missing the last bus is never fun. 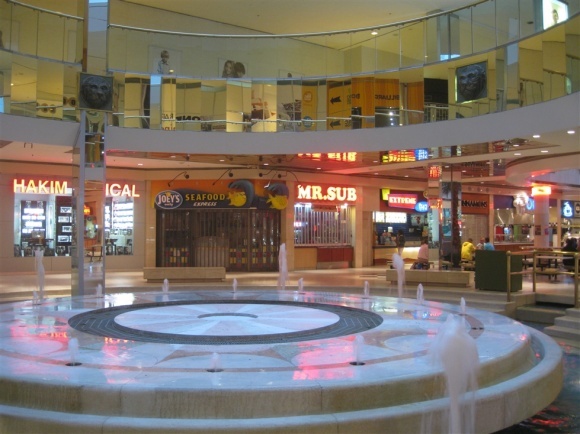 The security at the mall is pretty good there – they don’t mind if people hang out in there all night, just as long as they don’t make hassles. 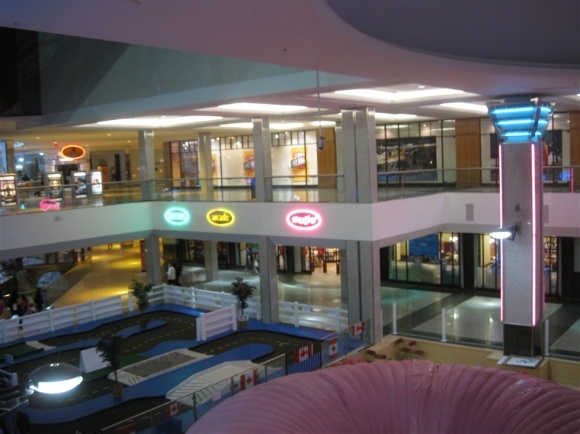 @Dizzy, so this mall is open 24 hours a day? @Gary, technically it isn’t. 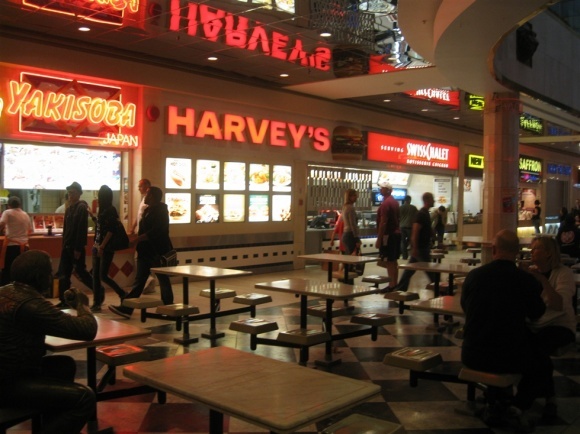 Most of the stores close at 9pm…the movie theatres and the restaurants in the Bourbon St. area close when they usually do…but the doors to the mall are never (or rarely) locked. 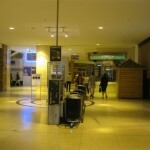 In the couple of times I’ve been stranded out there, I’ve never been asked by Security to leave the building, or unplug my computer from a outlet or anything. I’ve heard about this place many times over. I’d think to remodel a mall that size would be a bit much. Thus why it still seems to bear its mish-mash of late 1970s to mid 1990s styles. 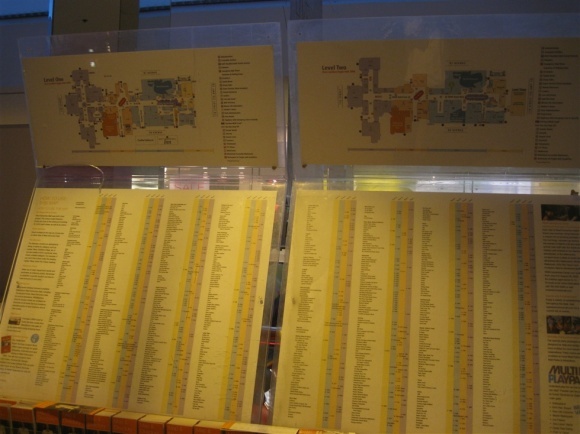 I have yet to look at a map, but going by what you put forth about the layout of the mall, that would be an uncommon thing. 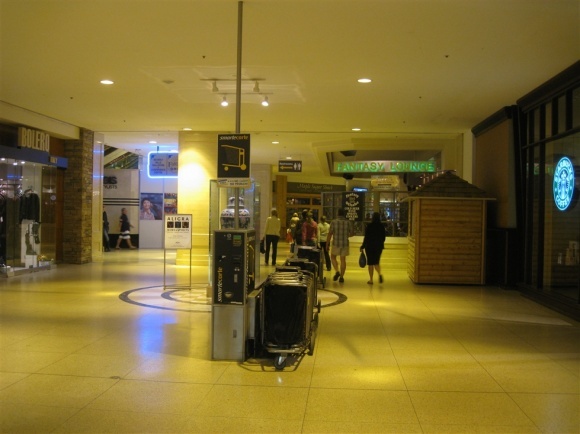 Most maps of Canadian malls that I’ve seen are in a racetrack-style layout, similar to how the majority of our “Mills” malls are in this country. 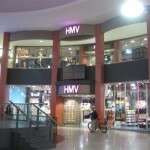 Until I ever get up there, thanks for giving us a look into what was once the world’s true ‘megamall’. 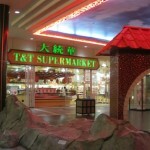 Seems Asia upped the ante on that title though…I can’t remember where the largest mall is now. India I think. 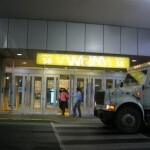 To get there from New York requires a change of planes in either Toronto, Chicago, Salt Lake City or Denver. I wish there were non-stop flights from the Big Apple, it looks like a lot of fun. 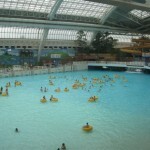 A casino & a water park in the same mall? My girlfriend would never leave. When I told her about this place her eyes lit up. 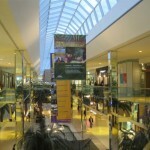 We all know that Natick Colection has residentses for sale. 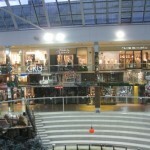 In that light, could you imagine living at WEM? 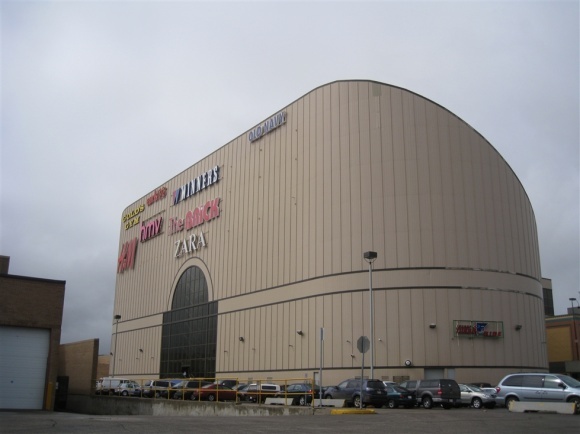 Turning this mall into the largest mixed use development would just be amazing. They are on there way so it is something to think about. 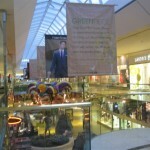 @SEAN, yeah and compared to Natick, WEM is 4x the size, or even larger! 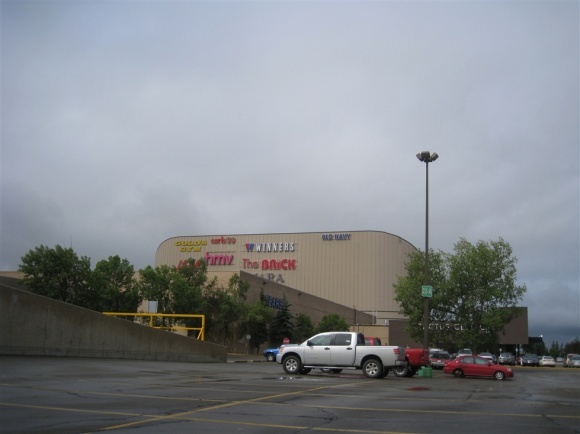 I was just thinking about what else this mall could do to keep growing. 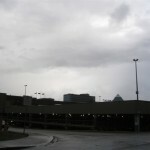 I have been doing a lot of reading about Transit Oriented Development over the past few years & just realized if WEM built parking garages in several locations the remaining surface lots could be turned into residential apartments, supermarkets, retail for every day needs, parks & offices for city & provintial government. The keys to this are… 1 this would be built directly to the existing mall & 2 you could reach every thing without needing a car because there is a rail line that takes you Downtown. It could be done if Goldman Sacks stopped sucking up the worlds finances. 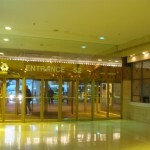 @SEAN, There’s a LOT of residental rental units around the mall from a property management company named Boardwalk. They’re pretty decent people do deal with. Good to Know. Just looking at the big picture. Crap….looks like the arcade is closed, too. 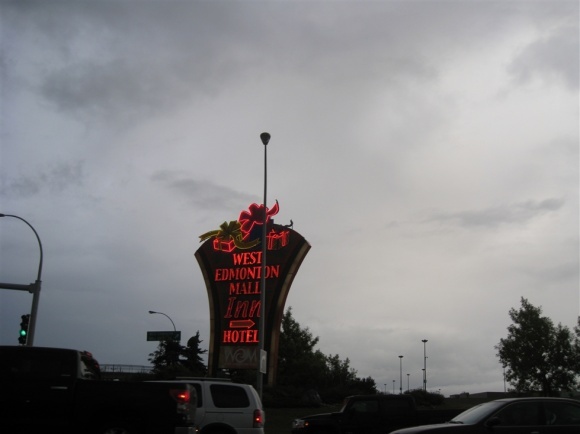 A few questions… first where are those rental apartments in relation to WEM, are they across the street or a few blocks away. Are they large complexes or of verrying types of heights & styles. 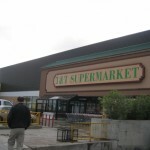 Second, what else is in the general neighborhood in terms of supermarkets , other local businesses & employment centers. 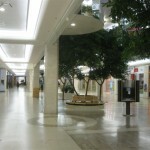 Just trying to get a feel for the area around the mall. 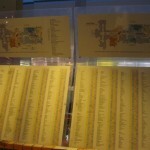 A directory doesn’t tell the whole story. 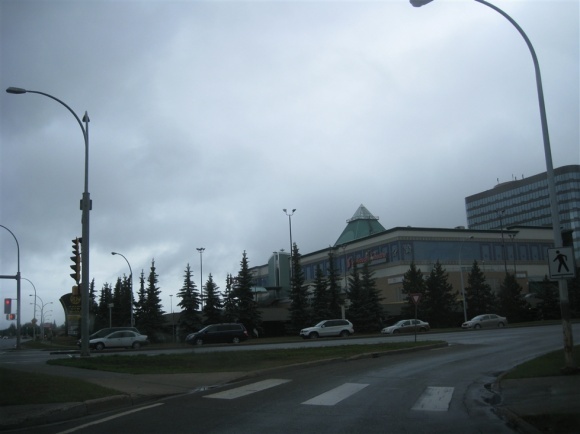 Check out Google Earth, satellite view of west side Edmonton – you will get a feel for the area. The apartments are mostly low-rise (3-4 floors) and townhouses and are now sort of ‘tired’. The city has sprawled south and further west and that’s where the newer, nicer places are. 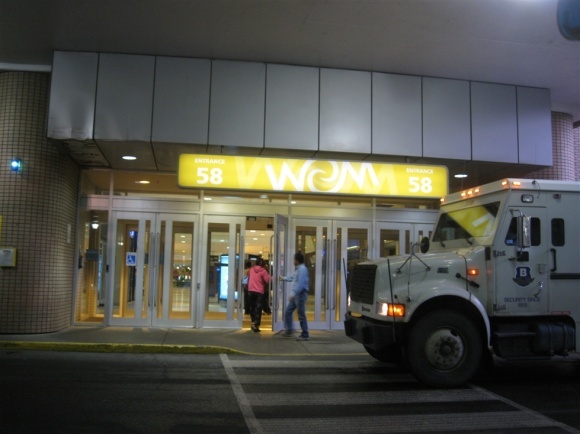 WEM has a (bus) transit terminal and dozens of bus routes file into the mall, so many areas are only 5-10 mins away from the mall even by bus. 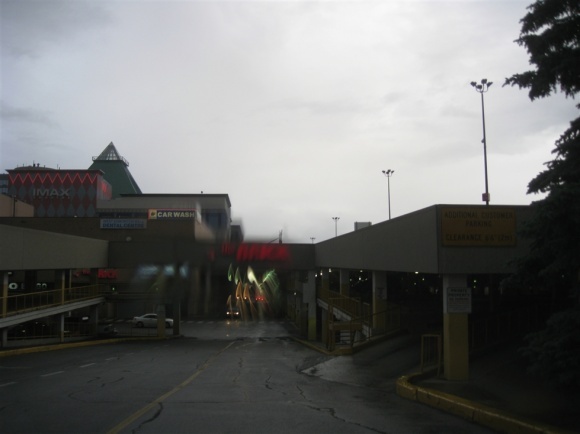 I hate the mall parking garages as they are dark and dingy, although crime is not an issue here. 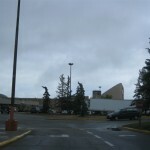 PS – re part two, the area to the north of the mall along 170th Street and 178th Street are jammed with supermarkets and box stores, and about 5 blocks away is a power center called Mayfield Commons. 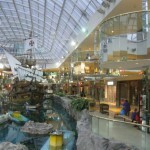 In a true mallrat spirit, I actually drove to Edmonton on my own JUST to visit this mall. I spent two days just walking around. Turns out, Edmonton is an amazing city. People were friendly, it was clean, and there were a lot of parks. I would recommend this city to anyone. 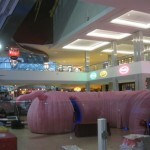 This was an interesting mall that I went to 8 years ago. 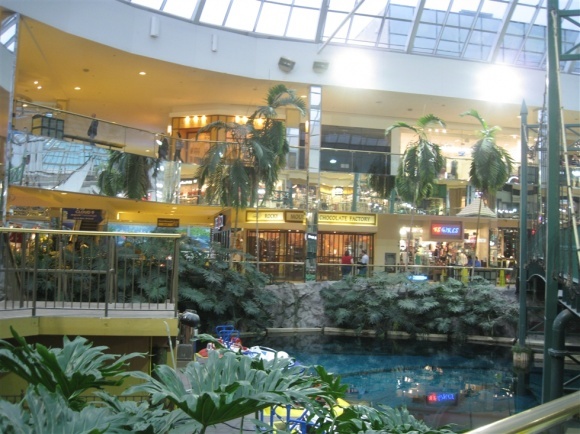 I enjoyed the mall a lot, It is big and has a lot of interesting stores inside and was one of the dream trips that I wanted to go to. 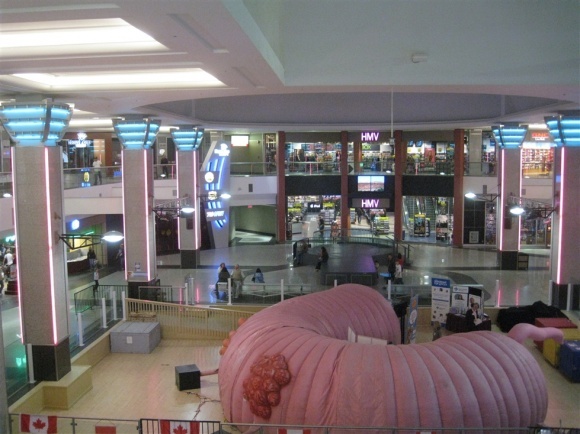 Edmonton is such a fun place that I did not get to see the whole mall. 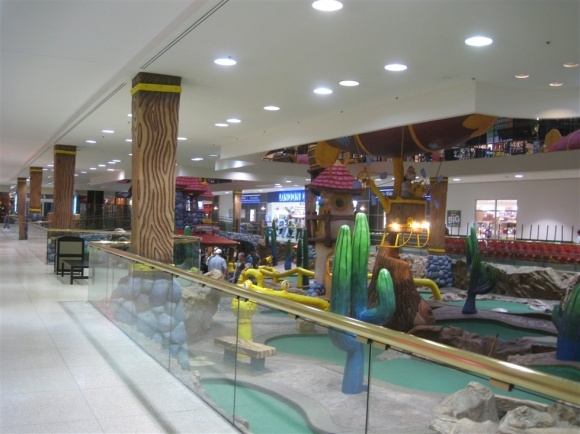 I would recommend this mall to anyone! 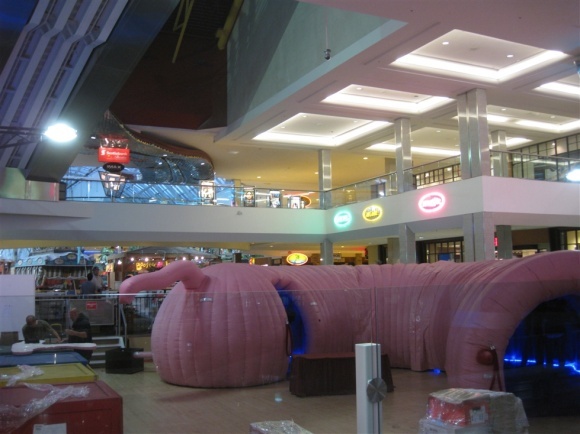 Also give yourself at least a week or longer, that is how big this mall is! 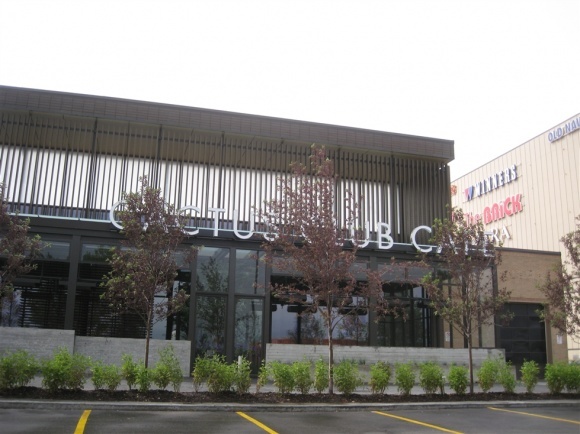 Recently opened are a large Bed Bath & Beyond plus 2 plush new restaurants: Cactus Club and L2 Grill. The very dated Fantasyland Dining Room has had a redo and is now a very luxe Dining Lounge called L2, whie the adjacent lounge below is also redone and called L1, very very Beverly Hills. 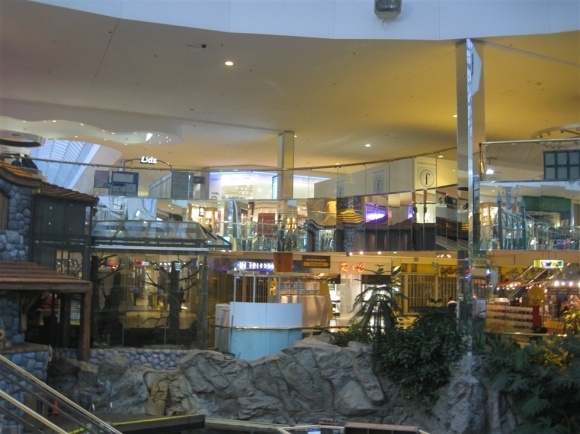 Perhaps with the major competition that Southgate and Kingsway Mal sare giving WEM with their newly completed reno’s and expansions will spark some sort of staged update. but the owners Triple 5 developments have a history of milking projects with as little investment as possible. With Southgate’s new luxury stores and plush food court, another branch of H&M and soon a Restoration Hardware. 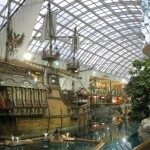 more and more residents of Edmonton are fleeing West Edmonton Mall and leaving it to the tourists. The especially dated Fantasyland Dining Room has had a rebuild and is now a very luxe Dining Lounge called L2, whie the closest lounge below is also redone and called L1, very very Beverly Hills. 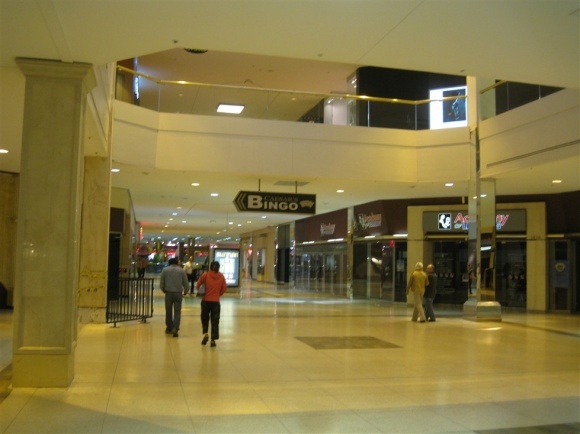 Possibly with the major competition that Southgate and Kingsway Mal sare giving WEM with their newly completed reno’s and expansions will spark some sort of staged update. 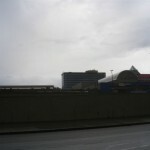 but the owners Triple 5 developments have a history of milking projects with as little investment as possible. 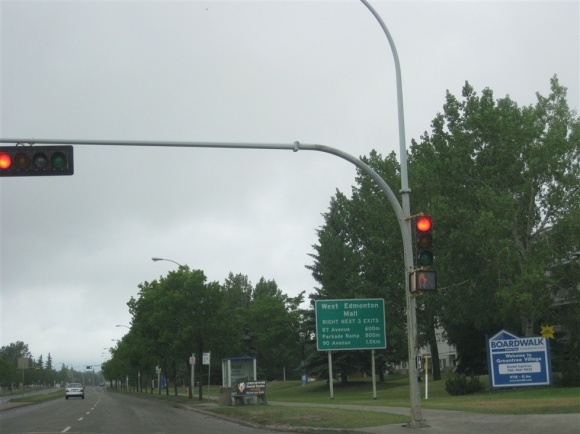 Hey everyone, I now live in Edmonton. Moved up here from Calgary for a new job. 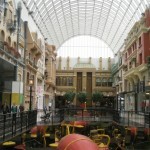 My work offices are right near the West Edmonton Mall. 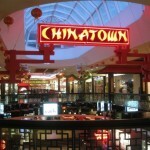 Lately I’ve been visiting this mall about 2 or 3 times a week either for lunch or dinner or just to wander around. I was there last night and was there again today! 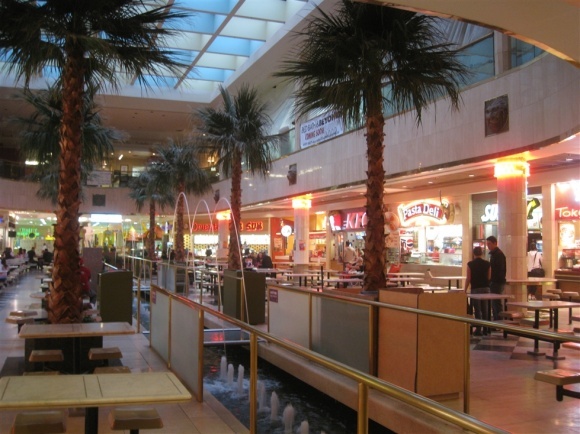 The place is busy and bursting with people, and its understandable, given the weather we’ve been dealing with lately (though that is getting better too), people have nothing to do, so they go to the mall! 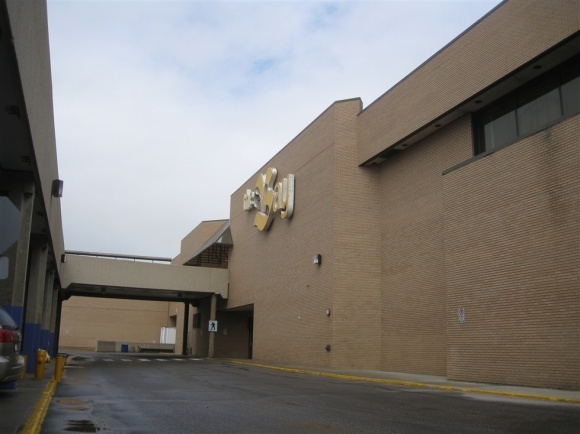 Anyways, on Friday it was announced that there is going to be a multi-million dollar renovation to the mall starting in March/April of this year. 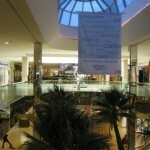 The project will encompass anything and everything in mall. Floor to ceiling, inside and outside. Everything is going to be new. 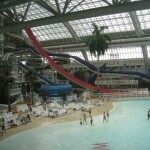 They’re going to add more slides to the waterpark, change some of the rides in the amusement park. This city’s biggest attraction will glisten once again! The renovations have started. 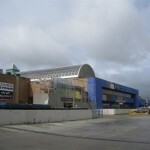 They have started to rip out the ceilings, floors and just started on the escalators. Lots of new stores coming in. 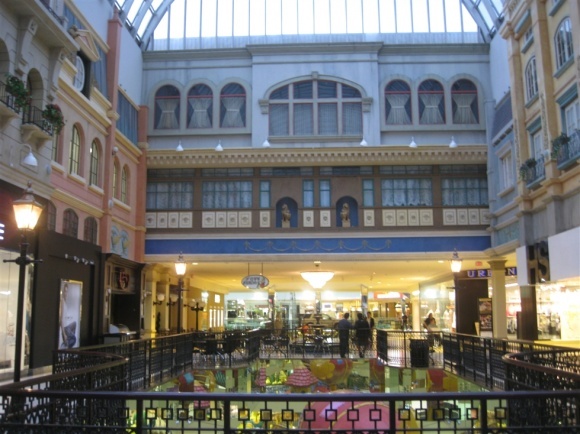 A/X, Target, Boathouse, Tommy Bahama, Volcom, Simons (Quebec Dept store) It’s first location outside Quebec. rumours of a Diesel Jeans abound. 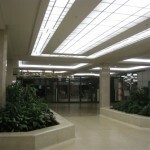 Many exisiting stores are doing massive renovations and updates as well. recent additons include Canada’s first Victoria’s Secret, VSPINK (Aug 2010) A Marble Slab Creamery (Feb 2011) Opulence (March 2010 high end clothing etc) Thomas Szabo Siversmiths (first Canadian store outside Montreal)MichaelKors (August 2010) newly expanded Bath&BodyWorks, Guess? Accessories, American Apparel, Aldo, etc etc. 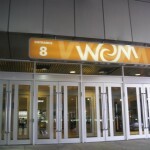 WEM is on the move again. Southgate and Kingsway have stolen quite a few firsts in the local market of late with Bench, Michael Kors, Kiehls, Restoration Hardware, and Now Crate&Barrel and Ivviva (Lululemon) moving into Southgate. Joining other upscale stores as Edmontons second Banana Republic, Apple, Zara locations among other international or American retailers. 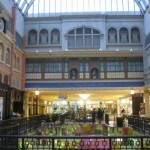 Kingsway has also scored Bench, PINK, H&M Bath&Bodyworks, Lululemon, Aritzia to name a few. 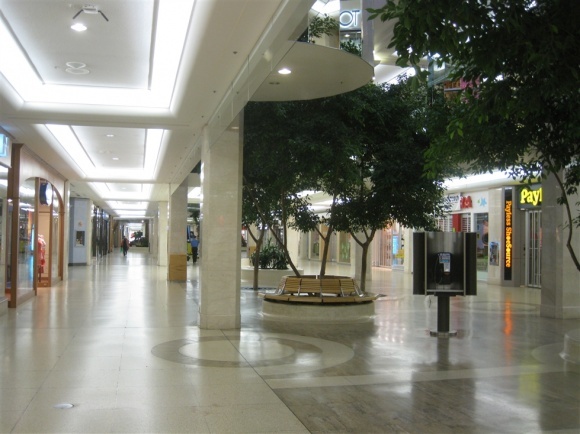 Edmonton not to mention Alberta and Canada have weathered the great recession quite well and retailers are lining up to get into a very strong retail market place. JCrew, Kohls, Macy’s, Target Have all announced plans to expand to the Great White North in the next couple of years due to the contuned strength of the Canadian economy. A slight error in my previous comment. 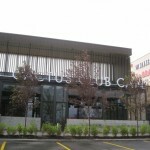 Opulence opened March 2011 not March 2010!!! LOL. 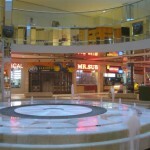 Funny enough, this mall is famous in amusement park circles as well. 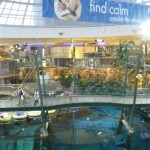 The Mindbender roller coaster in WEM’s Galaxyland actually had one of the worst accidents in roller coaster history, killing three people when bolts came off the wheel assembly and the train jumped the rails and crashed into a concrete column. To make matters more sensational this occurred while the mall was jampacked for a concert. 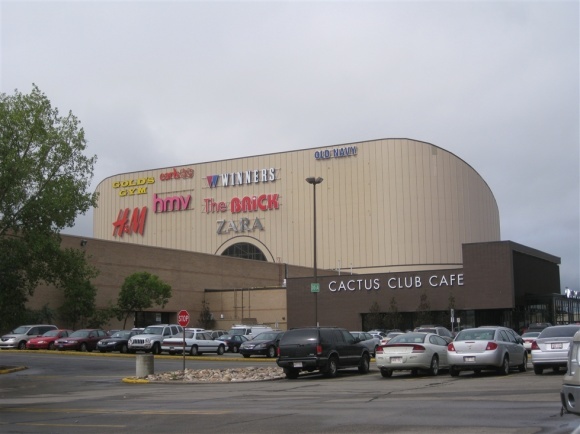 I suspect that such a horrific incident would have killed a lesser mall. 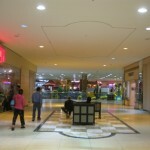 Yeah I’ve noticed that the renovations have started too, in various areas throughout the mall. You can see where they have ripped out the ceiling exposing the beams and insulation etc, other areas have been cut off to people completely (centre parts, not blocking off retail stores). Near the East food court you can see where they have have finished up the tiles, looks pretty nice, the rest of the mall will probably look like that one its all said and done. 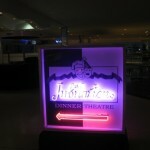 I hope they get rid of all the tacky neon lighting and waterfountains. 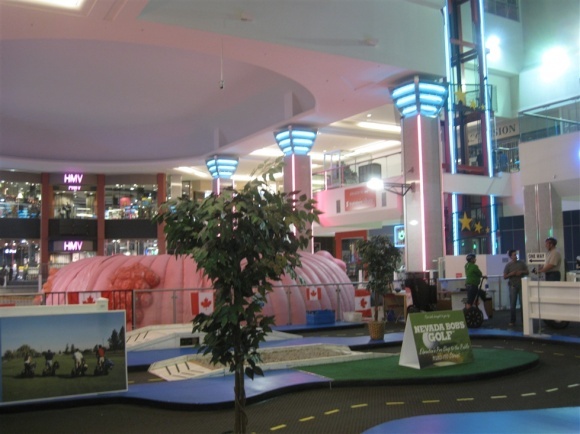 I wonder if the Zellers in the mall will be converted to a Target once they complete their expansion into Canada. 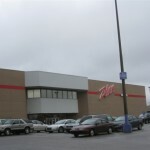 Funny thing is theres another Zellers like 4 blocks away from this one. 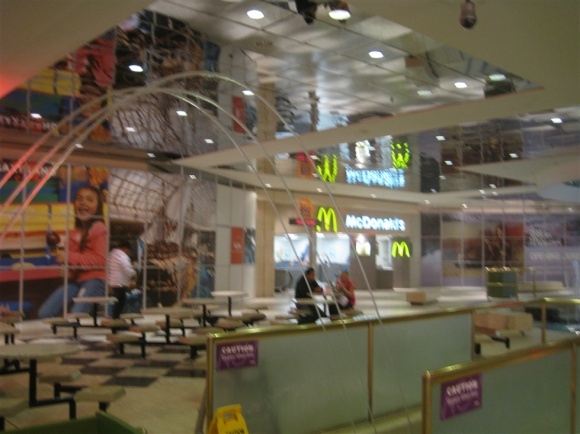 Also, Edmonton seems to have the most McDonalds per capita of any city in Canada. Seriously theres one like every 5-10 blocks. 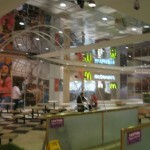 Theres also 3 McDonalds in WEM, 2 Arby’s, 2 Edos, 3 Orange Julius. The list goes on. 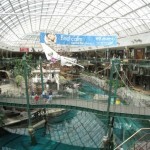 As a morbid side note, there was a horrific roller coaster accident involving fatalities inside this mall in the 1980s. The long-awaited expansion of Target Inc into Canada, announced last year, raises the question, why haven’t more big U.S. chains made the seemingly easy move north into a market where established retailers are doing well. 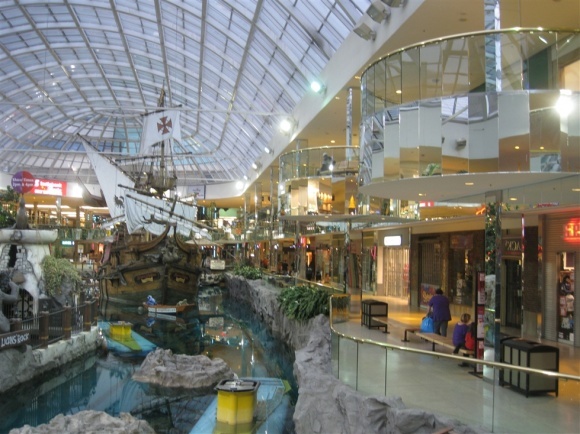 One of the biggest obstacles holding them back is a dearth of suitable commercial space in Canada, analysts say, and the difficulties involved in building more shopping malls and free-standing retail locations. 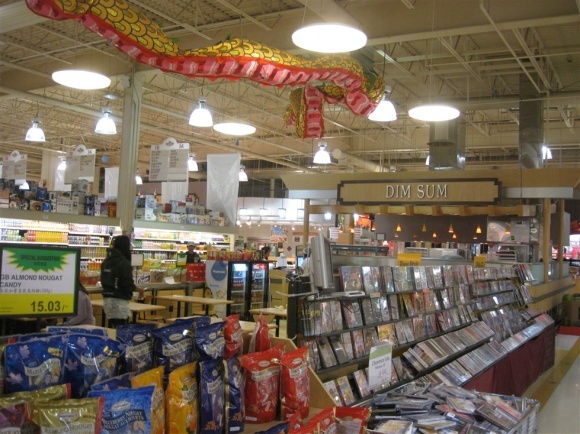 “Finding space is really difficult, but even if they can find it, it’s expensive,” said Maureen Atkinson, senior partner at J.C. Williams Group, a Toronto-based retail consulting firm. Expansion into Canada might seem like an obvious move for chains based south of the 49th parallel. Canada’s economy is healthy, having held up more strongly than the U.S. economy during the global recession, and its recovery has been more vigorous. Its banking sector is the soundest in the world, and a buoyant housing market is one of the engines that has kept consumer spending robust. 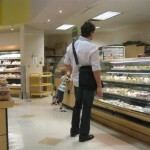 Canadians and Americans are similar in their shopping habits. 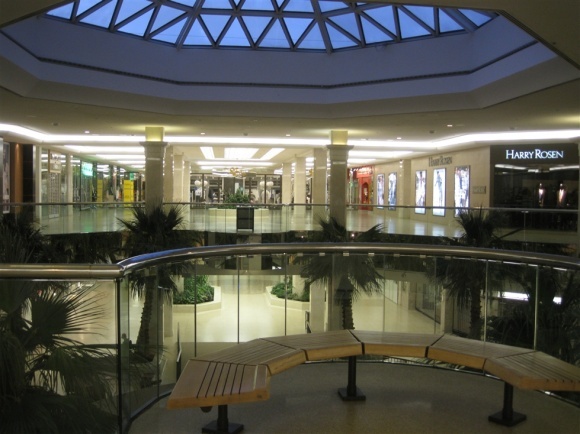 More to the point for retailers, Canada’s shopping malls are 43 per cent more productive than their southern counterparts, in terms of sales generated per square-foot of space, an important industry metric. Nordstrom Inc, a high-end department store chain with locations throughout the states, is on record as saying it wants to move north. 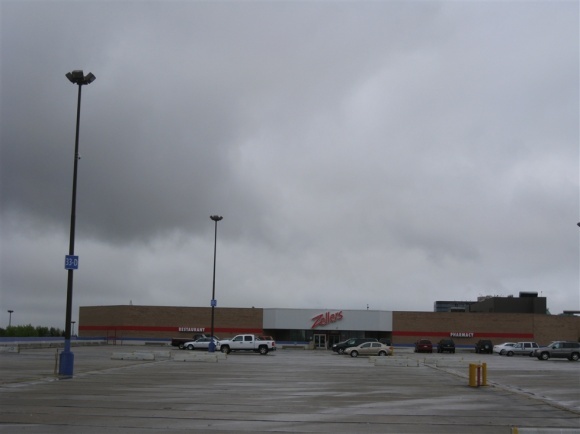 Kohl’s Corp, the Menomonee Falls, Wisconsin-based mid-range department store chain, also has its eyes trained north, but neither company has announced specific plans. 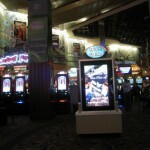 The company declined further comment, saying only it has no specific plans to share yet. Kohl’s would not return calls. Why the higher productivity? 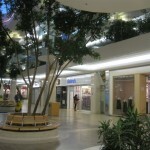 Mostly it’s because Canada has fewer shopping malls than the United States on a per-capita basis, with about 15 square feet of space versus about 24 square feet south of the border, according to John Crombie, senior managing director and national retail director for Cushman & Wakefield, a commercial real estate firm. 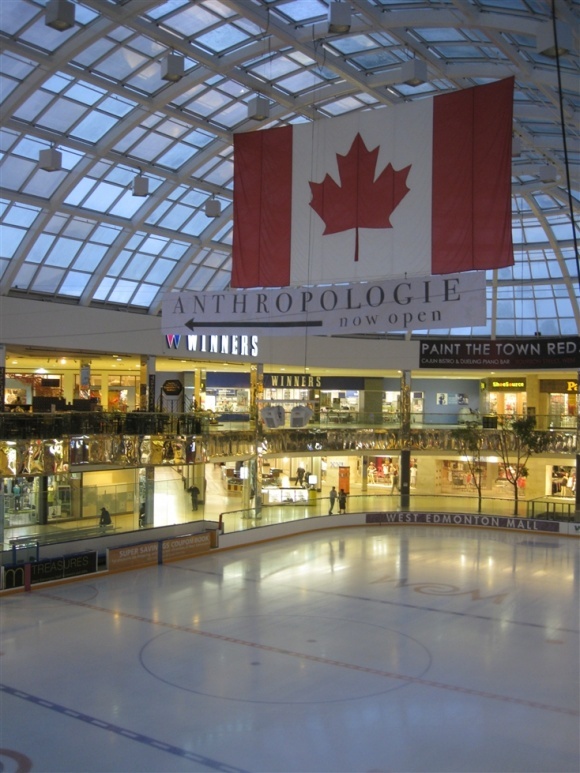 The development of shopping malls in Canada isn’t as easy as in the United States, experts say. 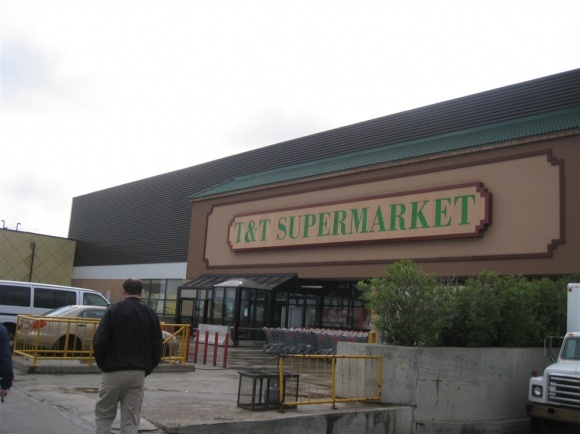 Financing options are more limited, zoning regulations are stricter and the Canadian tax structure can be an obstacle, they said. “The Canadian development business is different. It’s slower and more expensive, and more complicated,” Winberg said. 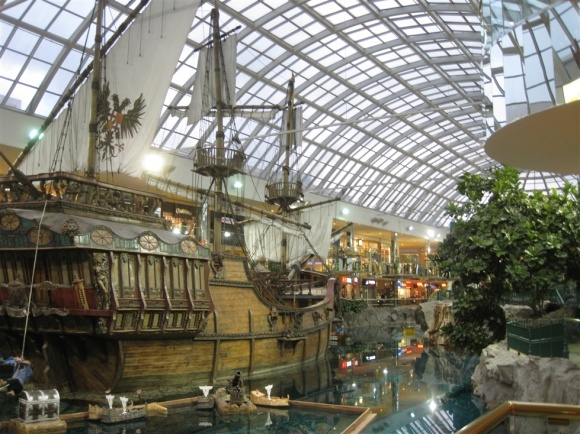 Indeed, only two enclosed malls — Vaughan Mills near Toronto, and Cross Iron Mills near Calgary — have been built in Canada since 1989, he said. 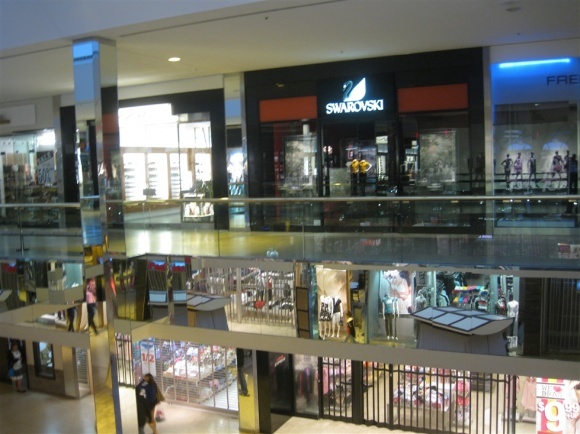 As a result, demand for space in the existing centers — especially premium locations such as the Yorkdale Mall and Eaton Center in Toronto, and Pacific Center in Vancouver — has skyrocketed, Crombie said. Upscale chains such as Victoria’s Secret — the U.S. based-lingerie retailer that made the move to Canada in 2010 — want to set up shop in premium locations. 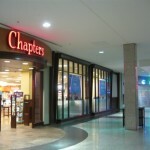 The chain, owned by Limited Brands, has opened 14 outlets in Canada so far, a tiny addition to its stable of more than 1,000 U.S. outlets. 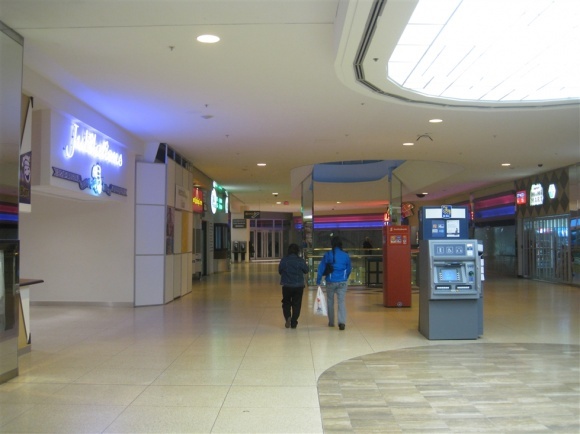 Premium Canadian malls generate about $1,000 to $1,300 in sales per square foot a year, nearly as twice much as the national average. 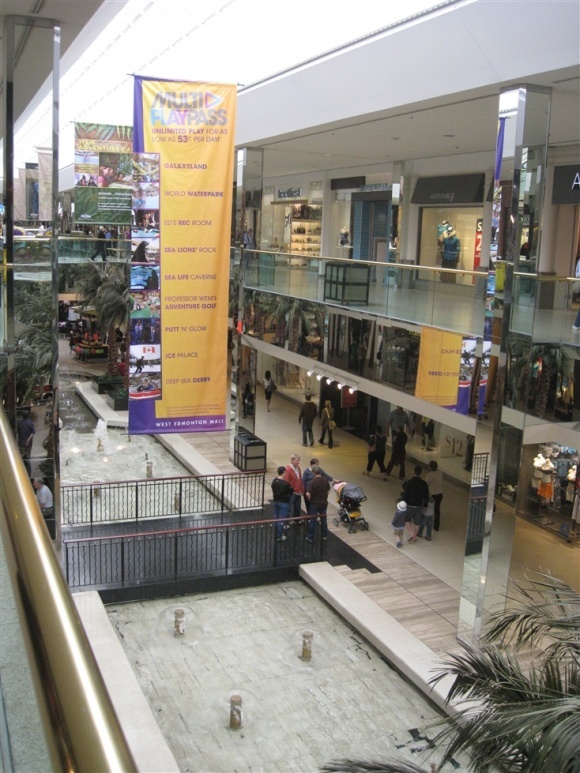 By comparison, Roosevelt Field, a comparable mall in the New York City suburb of Garden City, Long Island, generates between $650 and $750 per square foot, Crombie said. 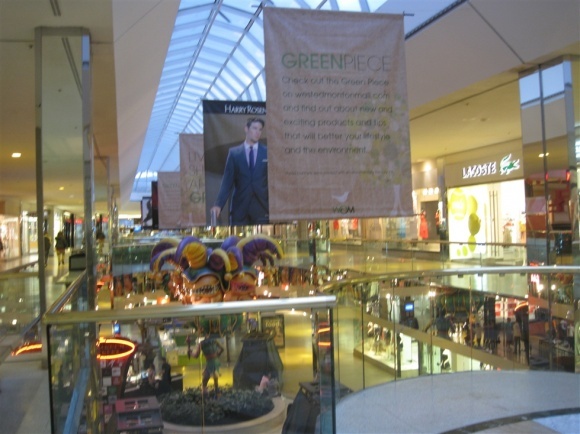 “So there is an absolute frenzy as retailers try to get into these malls,” Crombie said. 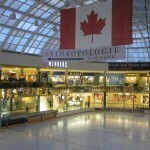 According to International Council of Shopping Centers, Canadian shopping malls overall outshine U.S. rivals, with average sales of $589 per square foot in 2011, compared with the American average of $412 per square foot. To be sure, higher sales mean higher rent. 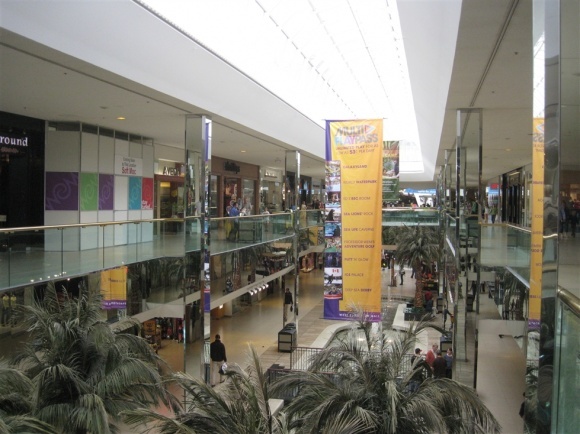 Yorkdale, a mall in north Toronto, charges about $200 per square foot in rent, while Long Island’s Roosevelt Field charges about half at $100 per square foot, according to Crombie. 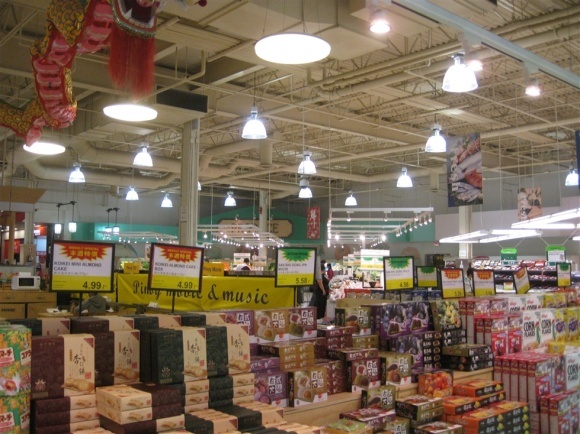 Labor, material and distribution costs are higher in Canada, too, while some retailers have to pay for higher duties on imported goods from China and other countries. Even so, profit margins tend to be higher in Canada, Atkinson at J.C. Williams said, because retailers can charge more than the U.S. counterparts. 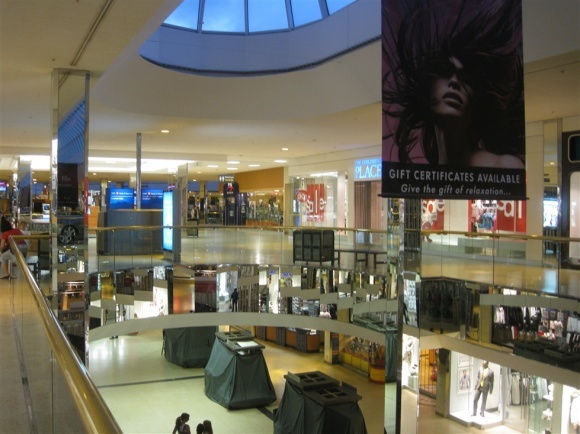 The more concentrated Canadian retail environment enables retailers to set higher prices. 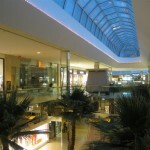 In Canada, the four largest retailers have 28 per cent market share, versus only 12 per cent in the United States, according to BMO Capital Markets research. 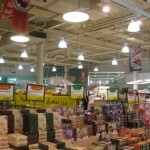 When comparing similar goods in two countries, prices are 20 per cent higher in Canada than the other side of the border, according to the BMO research, published in April 2011. 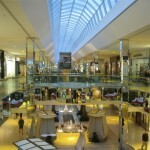 The high cost of retail space presents a conundrum of sorts. 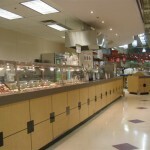 Only the biggest chains, such as Target, can contemplate the expense, but at the same time, the size of such chains makes it difficult for them to find enough suitable locations. 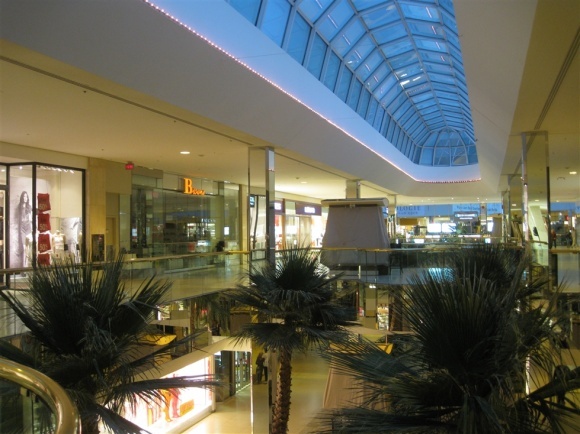 In Canada, five top landlords — RioCan, Calloway REIT, Ivanhoe Cambridge, Cadillac Fairview, and First Capital Realty, — control 33 per cent of retail inventory in shopping centers, Crombie said. “It’s a tight and small market,” he said. After years of anticipation, Target announced last year that it was following in Wal-Mart Stores Inc’s footsteps and making its debut in Canadian market. 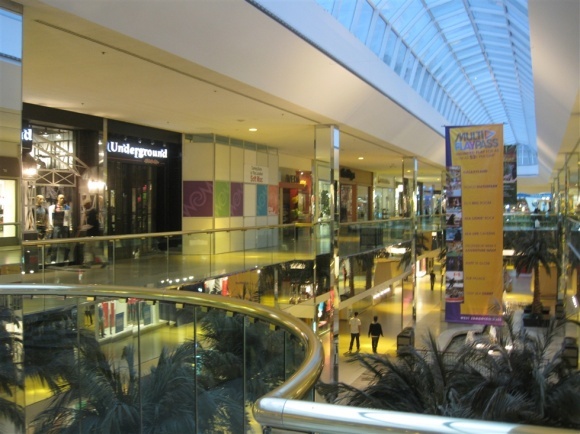 Its strategy highlights some of the difficulties faced by other U.S. retailers looking to expand northward. In Target’s case, the second-largest U.S. retailer, took over leases for up to 220 Zellers stores, owned by Canada’s storied Hudson’s Bay Co. That will quickly give the Minneapolis-based chain an immediate coast-to-coast footprint when it opens for business in Canada early next year. Crombie said Target’s expansion could hold some valuable lessons for other U.S. retailers, and many are sure to be watching to see how the discounter fares in the Canadian market. “Everyone wants to see what the degree of the success will be,” he said. 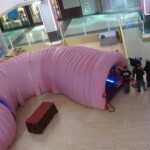 What’s that pink thing that people are walking through? 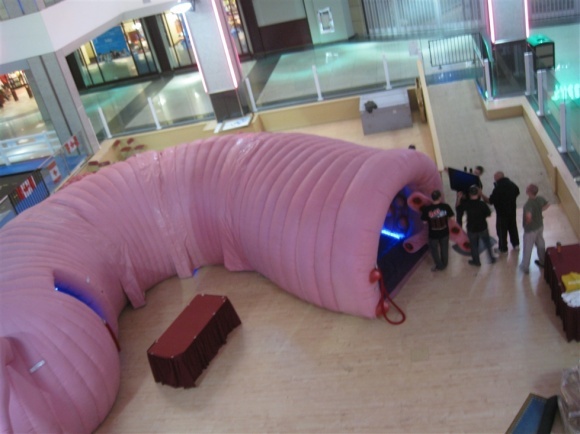 @jhshifris, That was part of an special travelling exhibition having to do with the human body. 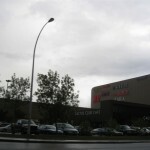 U.S. fashion retailer J.Crew is opening its first Alberta store in Edmonton at West Edmonton Mall, Thursday, June, 7 2012.Photograph by: Greg Southam , edmontonjournal.comEDMONTON – When Millard (Mickey) Drexler, the celebrated CEO of J. 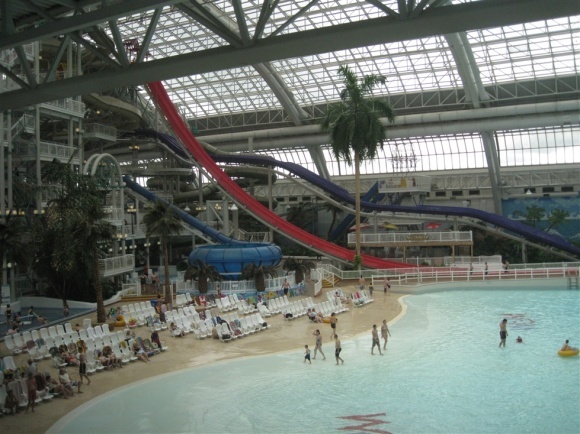 Crew stood on the artificial beach at West Edmonton Mall’s water park, it was clear to him that the popular U.S. retailer should open a store in Edmonton. J. Crew — whose lineup of updated classic apparel has made it a favourite with Canadian cross-border, catalogue and online shoppers — opens its first Alberta store Thursday at the mall. The 5,657-square-foot store, which will carry only women’s clothing and accessories is only the third store in the New York-based chain’s nascent expansion into Canada. 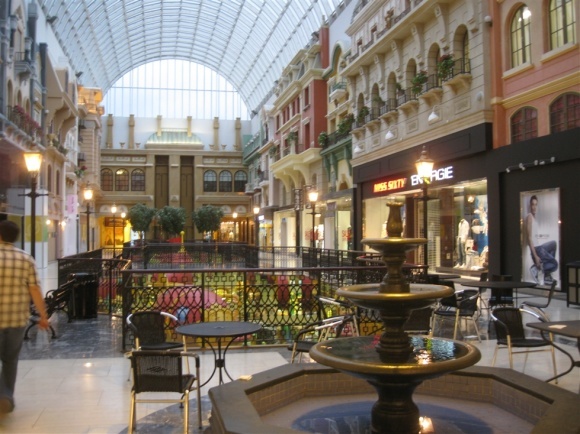 “It was a really natural choice,” Drexler said in a telephone interview, recalling his earlier visit to North America’s largest shopping centre. “Having visited there, it’s kind of an extraordinary place. 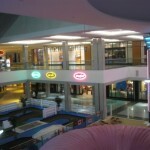 I’ve never seen any mall like that in my life. 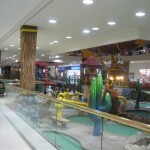 When I was at the beach, I was fascinated to visit the mall and watch what activities were going on. Looking at this beachfront, it was almost like I was dreaming. “You could spend a week there shopping or hanging out or going to the beach or all the other activities they have to offer, so it was really not a tough decision. 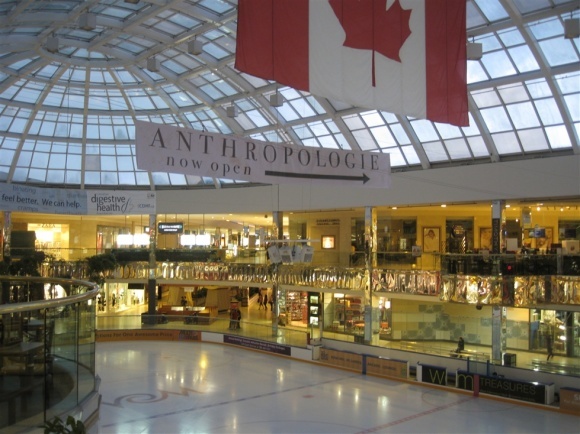 The vote of confidence for Edmonton’s consumer spending comes from a CEO hailed in U.S. media as “the man who dressed America” and the “merchant prince of retail” credited for turning around three companies: Ann Taylor, Gap and J. Crew. J. 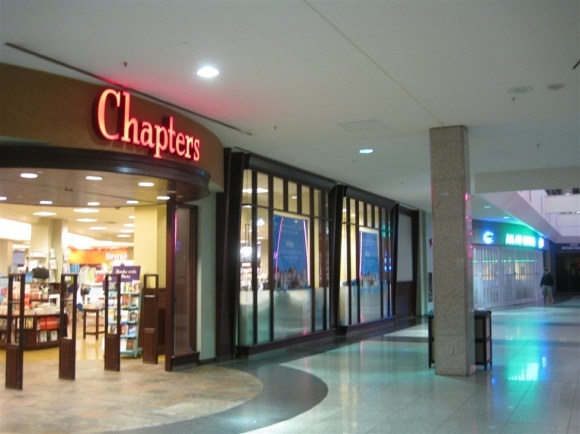 Crew launched its first store in Canada in Toronto in 2011 and in Vancouver in April. 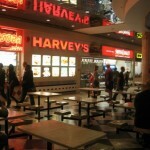 It plans to open a fourth location in Toronto’s Eaton Centre in October. 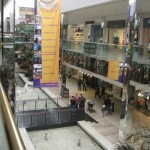 The company operates 278 stores as well as catalogue and online channels. 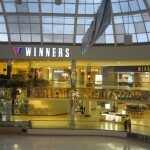 It plans to open 20 to 30 Canadian stores over the next five or so years, including Calgary, Drexler said. When J. 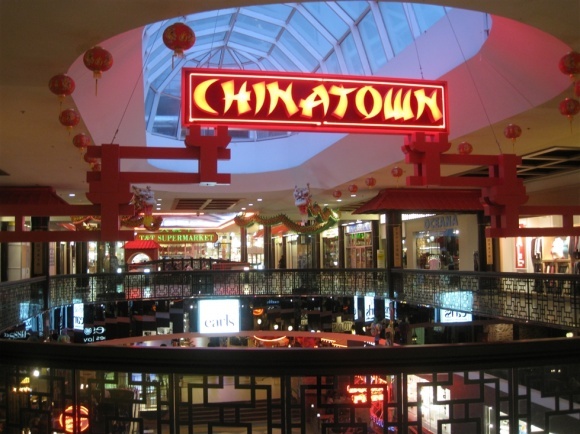 Crew opened its first Canadian store in Toronto’s Yorkdale Shopping Centre, it attracted crowds and initial controversy over prices higher than U.S. shoppers paid. J. 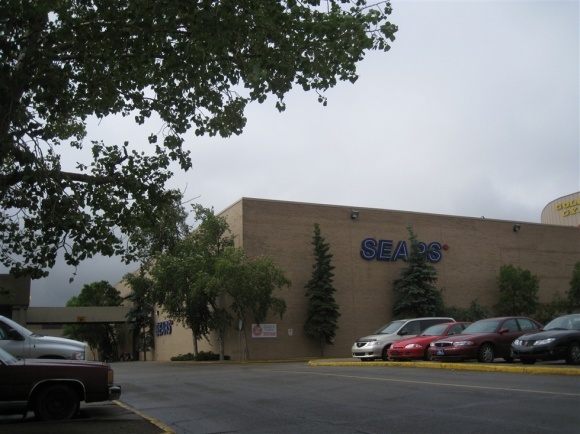 Crew is the latest U.S. retailer looking for fresh markets and lured by a strong economy to expand into Edmonton, along with others such as David’s Bridal and Target. 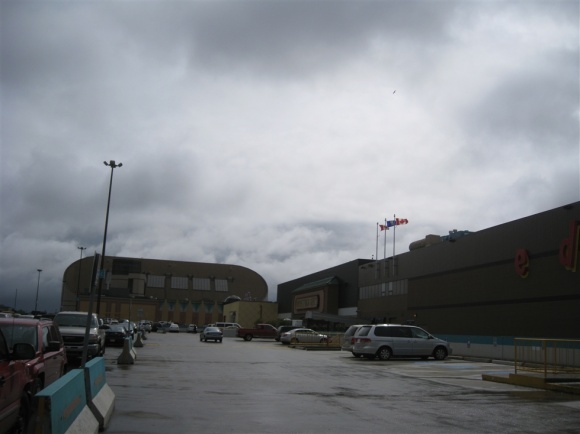 “There probably are more sophisticated fashion markets in the world, but it’s not a great secret that the world economy is in a tough place and northern Alberta is one of the bright spots,” said Kyle Murray, director of the School of Retailing at the Alberta School of Business. 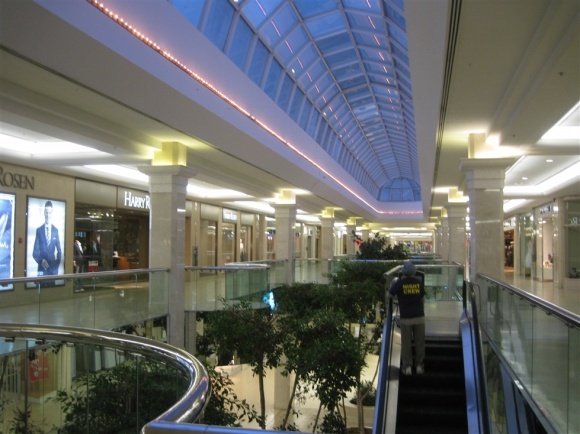 An influx of new retailers has helped push down the Edmonton region’s commercial vacancy rates to their lowest ever, said Doug Fogg, a retail partner at Cushman & Wakefield. 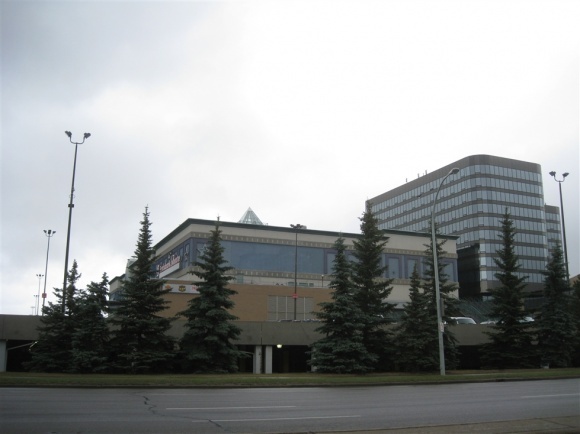 “We’re in maybe the best situation we’ve been in ever in terms of vacancy rates in Edmonton,” Fogg said. 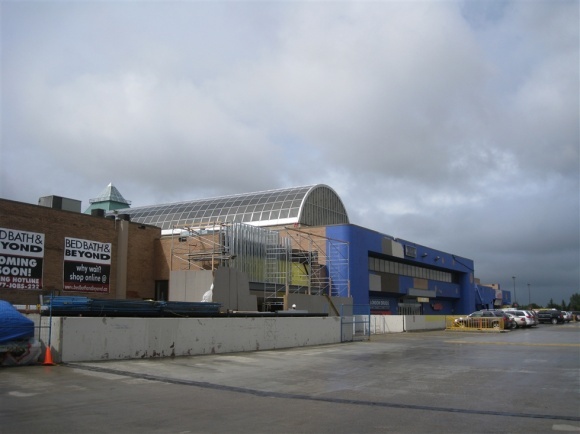 The demand for space has sparked a building boom for new retail space, he added. 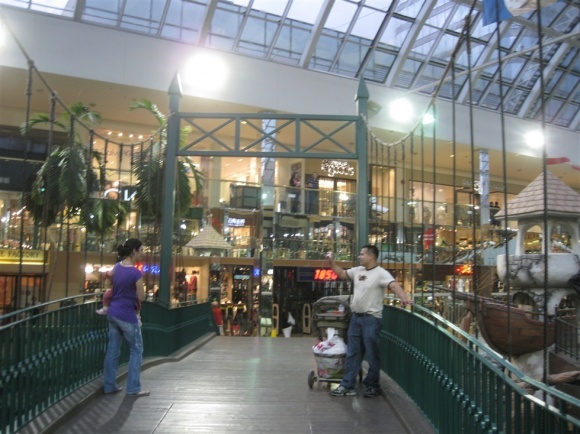 Posted on Sep 19, 2012As major American retailers Nordstrom, Target and Victoria’s Secret prepare to open stores in Vancouver, I talked to industry veteran Rick Amantea, Park Royal Shopping Centre vice president, about some of the differences between Canadian and American retail. 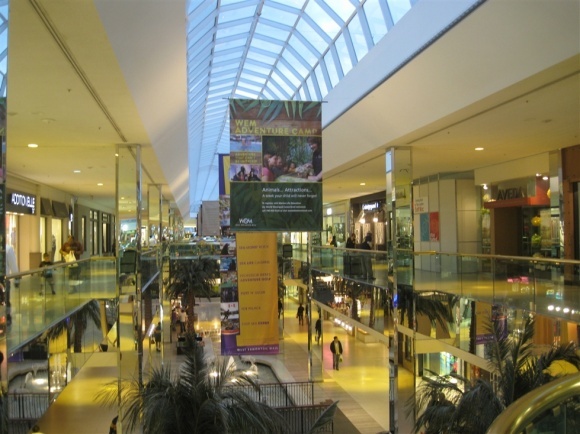 Why are sales per square foot at Canadian malls almost 50 percent higher than sales per square foot at American malls (Colliers International Consulting)? It’s not because Canadians buy more. 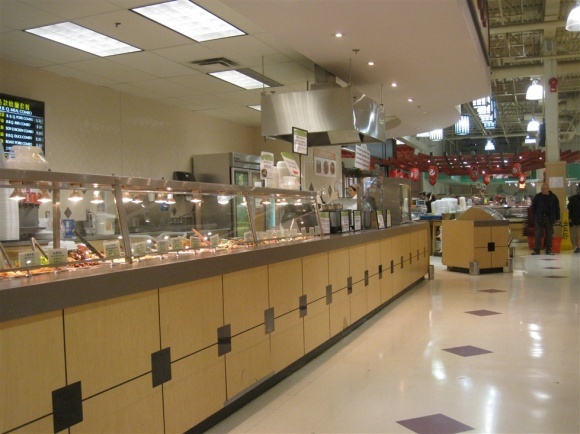 Sales per square foot are higher in Canada simply because Americans are used to larger square footages and lower productivity, Amantea said. 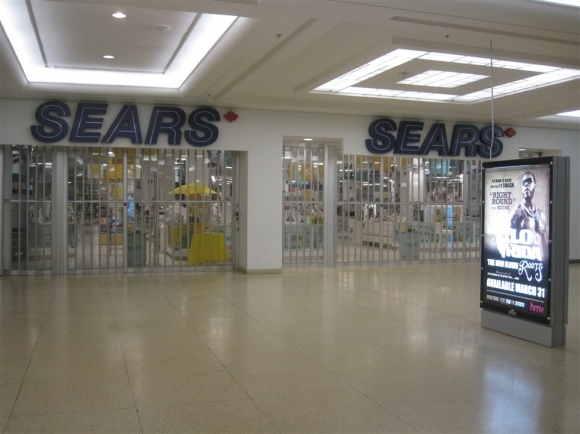 When American retailers come to Canada, they open fewer stores in each geographic region and their productivity jumps, he said. Is the famous, almost “pushy” American style of service going to irritate laid-back Canadian consumers? Do we really have to copy the Americans if we want to survive? Yes, we will be forced to up our game, but no, we don’t necessarily have to copy the Americans, Amantea said. Homegrown retailers Lululemon and Aritzia are among the best in the world. The American retailers “aren’t going to come in here and basically show us how to do it better. 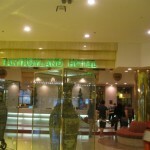 We already compete on a global level,” Amantea said. 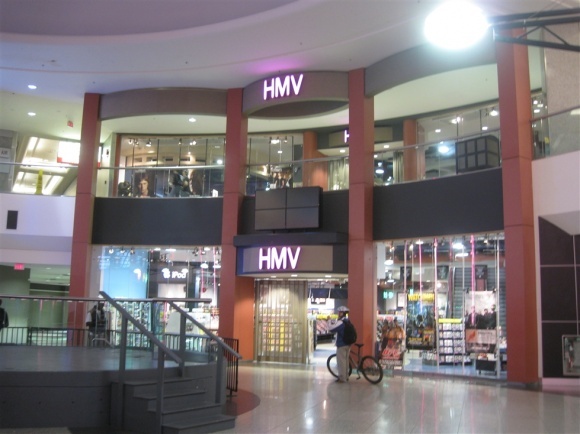 U.S. retailers in Vancouver will be pulling from the same labour pool as Canadian retailers. The difference comes down to training and brand culture. 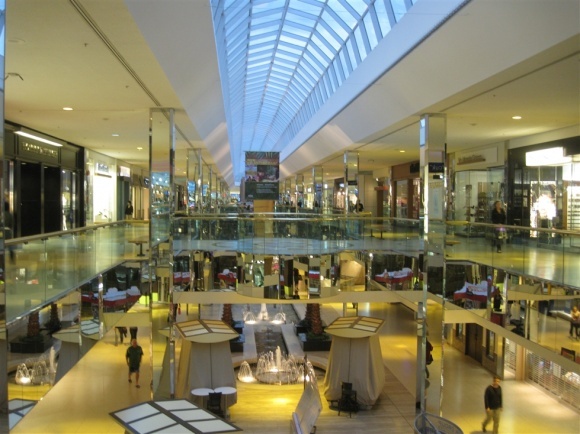 The top U.S. retailers simply demand more from their employees, Amantea said. The way to improve is simple. Just learn from watching the guys that do it best, he said. 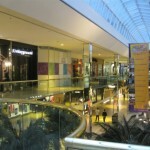 What will the American retailers need to learn as they come into Vancouver? 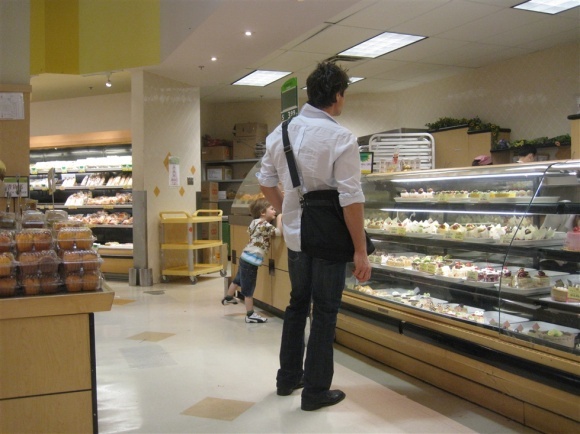 Canadian consumers are more cautious about how we spend our money, Amantea said. And because we have a smaller population, each store will need to draw from a larger area. 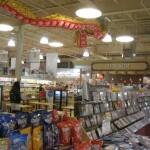 The Vancouver metropolitan area is very confusing to retailers, Amantea said. Although we have a population of 2.5 million people, we are spread out over a dozen or more municipalities all separated by bridges and highways. The incoming retailers will need to spend some time here and study us to figure out how to take advantage of all the markets, he said. 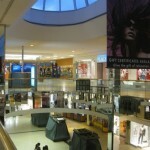 The NY Times recently wrote an interesting story on the challenges faced by American retailers expanding into Canada. Among other things, the story talks about J.Crew having to apologize to angry customers for having higher prices in Canada over those in the U.S. 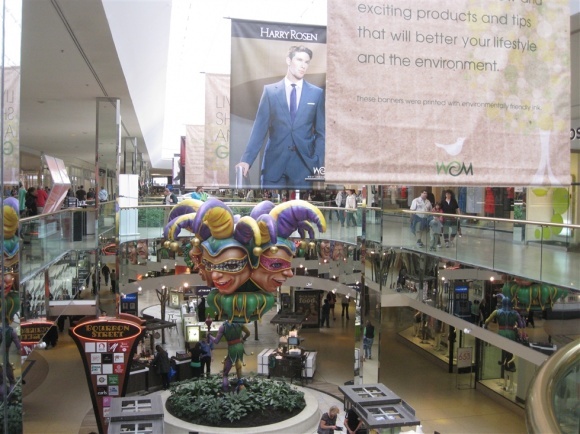 The first Simons outside of Quebec opened in WEM last month and with 115,000 square feet of fashion and home items it has really brought something new and creative to Edmonton. 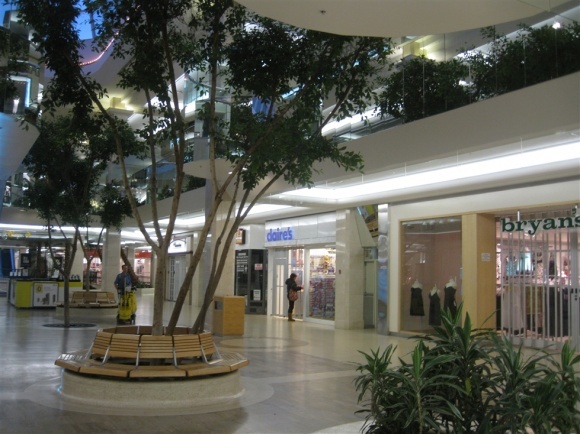 The clothing is everything from designer to lower priced yet fantastic house brands that are both classic and trendy, the interior makes anything else in Alberta look dated and dull. 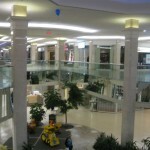 Other stores that opened over our Thanksgiving weekend (Oct in Canada) were Williams-Sonoma, Pottery Barn, Steve Madden, and Edmontons first Express/Express men will open in early December as well WEM got one of the few new Microsoft temp stores in Canada along with one in Vancouver, Toronto and Montreal. 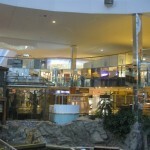 Edmonton is definitely restoring its “fashion” destination in Western Canada. 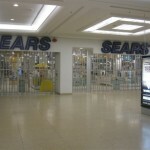 The local retail rumour mill has Nordstrom being very interested in the present Sears site (that is always quite and dull) And not to forget the former Eatons then Zellers space has been totally gutted and is converting to Target in the spring of 2012 with work on that continuing at a terrific speed. walks the homeless and gaylords. I dont want to waste more time again. dont want to waste more time not again. IT’S NOTHING BUT A BORE! I’ve lived in or near Edmonton for most of the 31 years I’ve been on this planet. West Ed (as the locals call it) has grown up with me it seems. 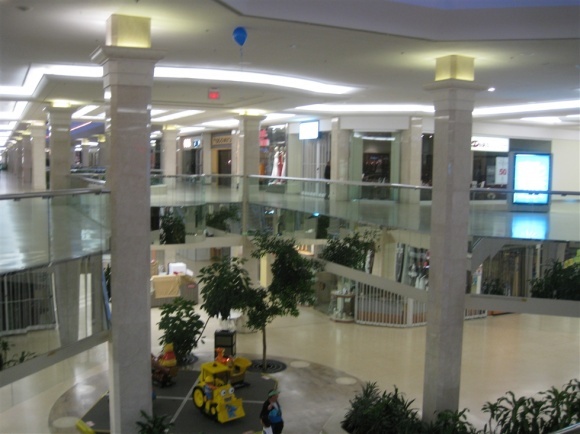 The renovations are nearing completion after 3 years, mostly after Southgate Centre snagged some higher end stores like Crate and Barrel, Restoration Hardware and such. West Ed has come back hard in the battle for mall supremacy, but they still do have some work to do. 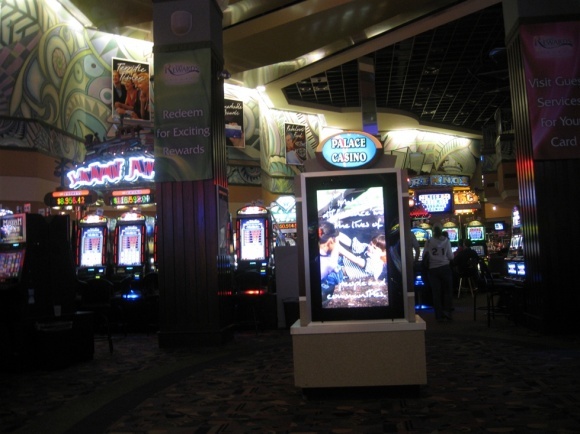 The reno’s haven’t covered Phase 4 (yet), the movie theater is really dated and is full of annoying teenagers, Galaxyland has gone to the point of being too tacky, the waterpark needs some work and the hotel….lets just say the “theme rooms” aren’t quite what they used to be. 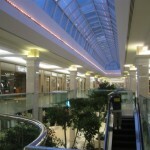 The thing is, most Edmontonians hate shopping there. 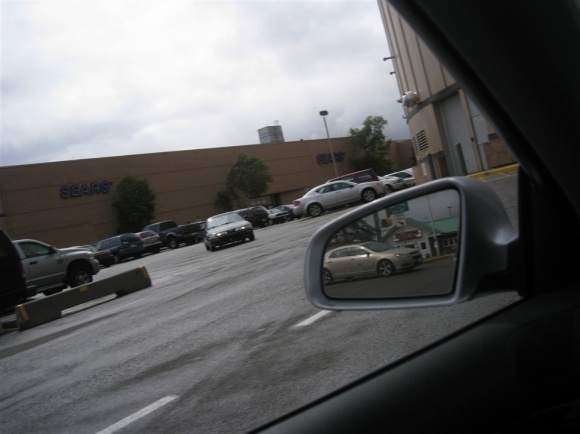 Parking stinks, it’s stupid busy, the roads to the mall are always clogged but that’s what you get for sticking a mall where the land was originally zoned for residential! 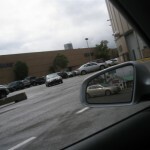 Even though it is the mall closest to my house, I try to avoid it. If there is a store that I need to visit, I try to go on a weekday evening when things are less crazy. Personally I prefer Southgate, simply because it’s smaller and less crazy.